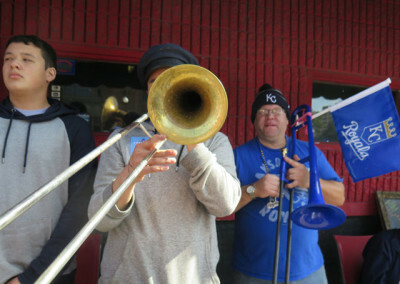 I took this photograph at Lawrence Beer Company in late November while I was sampling beers and taking notes for a story. 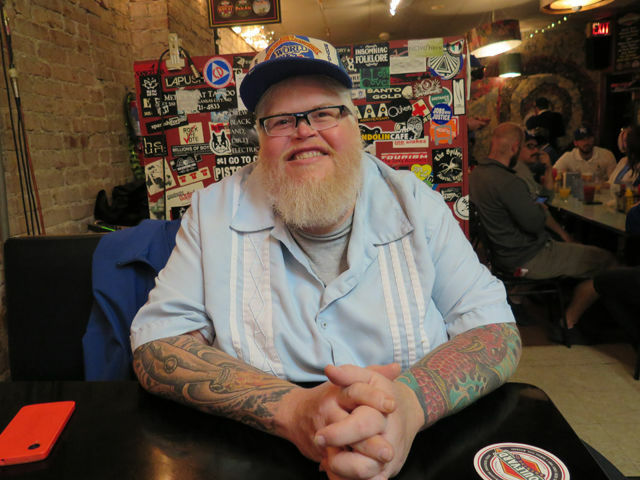 At the moment, I was killing time between beers and took various shots of the tasting room. 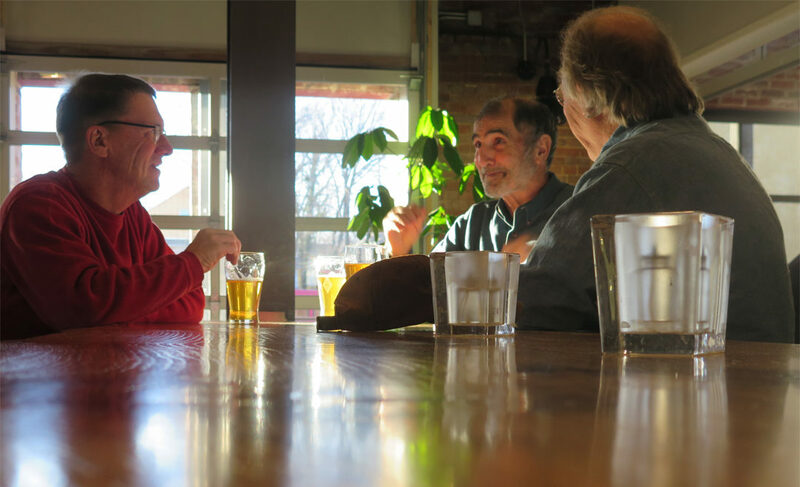 My attention drifted back to these three guys on my left, who were chatting and sipping on beer on a Thursday afternoon. 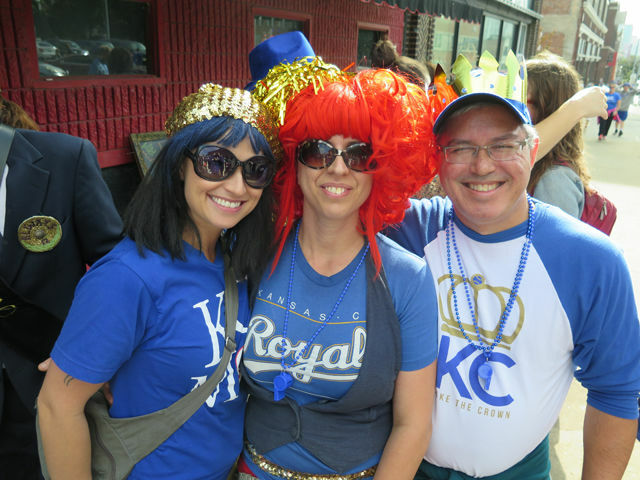 The amber glow of the sun brought life to their rosy expressions and transformed glasses of beer into ingots of liquid gold. 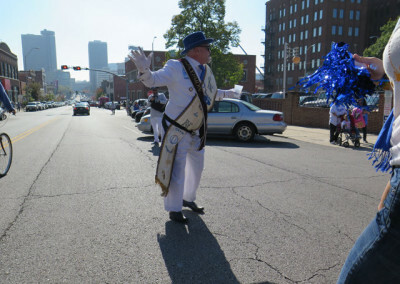 I didn’t think much about the scene while pressing the shutter-release button. 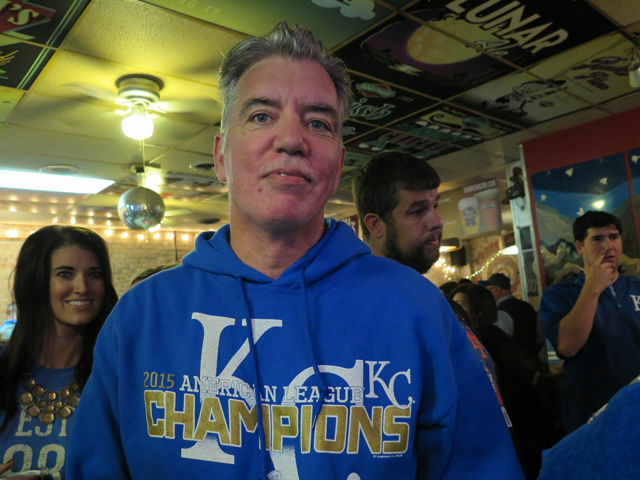 I discreetly pointed the camera, took three shots, and then concentrated on my beer. 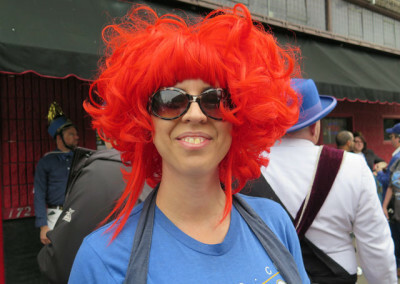 Later, I edited photos at home for the story but didn’t include this irrelevant shot. Cropped here, it’s the best of the three of them that I snapped. 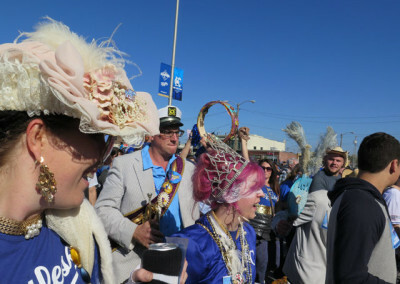 I find myself thinking about this photo and the scene. 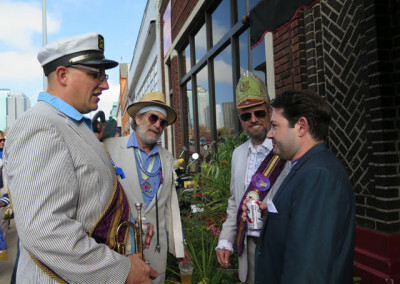 These three guys, who appeared to be retired, spoke to each other with the closeness of friends. While I didn’t eavesdrop, I heard them mention the Sixties, the time they served in the military, and where they were based. 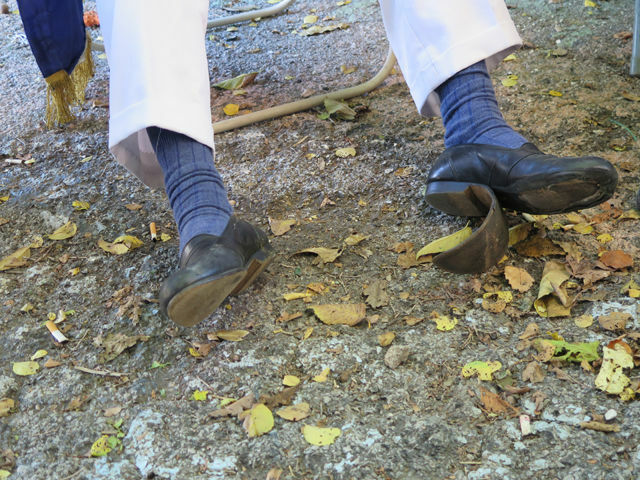 Their old stories seemed fresh in the telling, full of warmth, earned wisdom, and conviction. 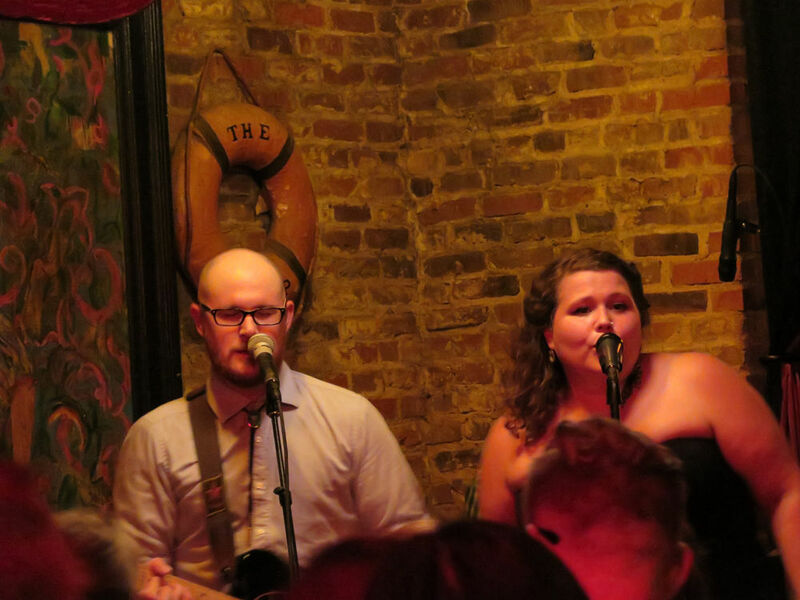 Exact words eluded me, but their voices were mellow and rounded, even-keeled mostly, passionately delivering a phrase here and there. They spoke without bitterness or anger, any raw edges of yesteryear had been burnished by time. 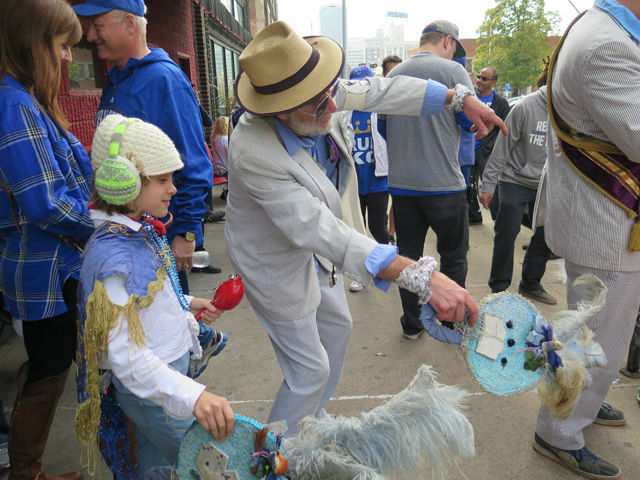 Their words were a form of time travel, bringing the past to the present. Their younger bodies were long abandoned. 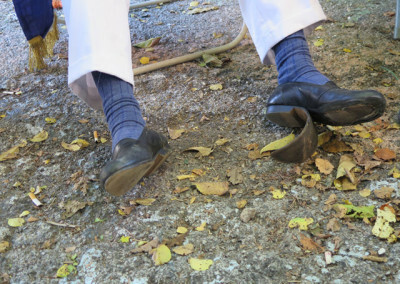 Their former deeds and experiences, memories uttered as personal truth, carried forward on faint wind flowing from their lungs in patterns that circulated between them. They slid their chairs closer to me after a spell and, later, moved farther away. 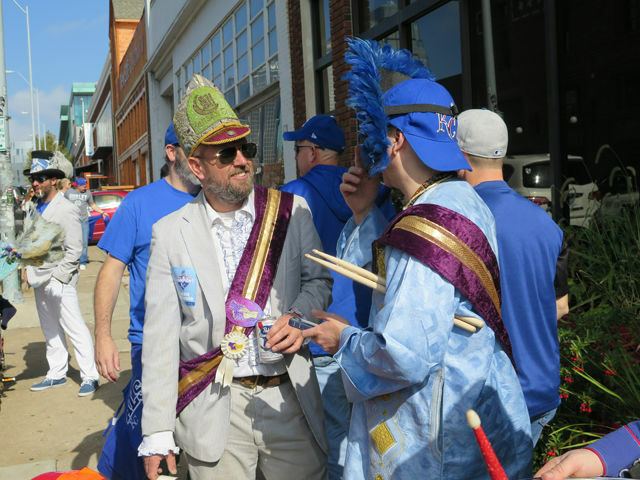 One man explained with a laugh that they were trying to get out of the path of a sunbeam that temporarily blinded the vision of the guy on the right. 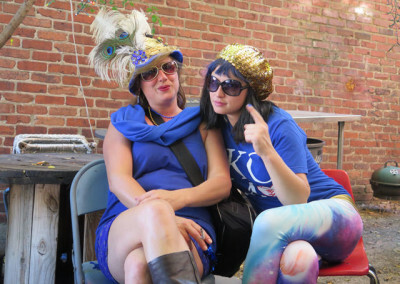 I found myself slightly envious of them. 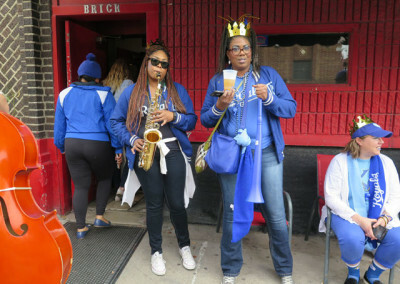 They seemed more than drinking buddies. 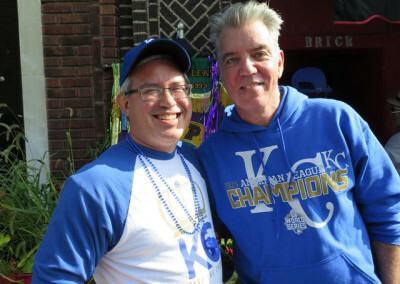 They were at ease in each other’s company, sharing the weight of lives spanning decades that bound them together more than politics or sports on television. More than once, I’ve observed how beer helps to strengthen bonds between people. 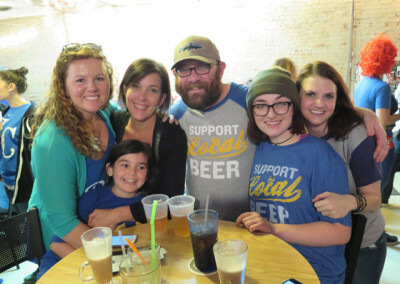 Without romanticizing beer itself, I am reminded by this photograph how the ritual of having a beer with others facilitates conversation and connection. Far more powerful than a photograph, these fleeting moments create a time capsule. Three guys and their beers. 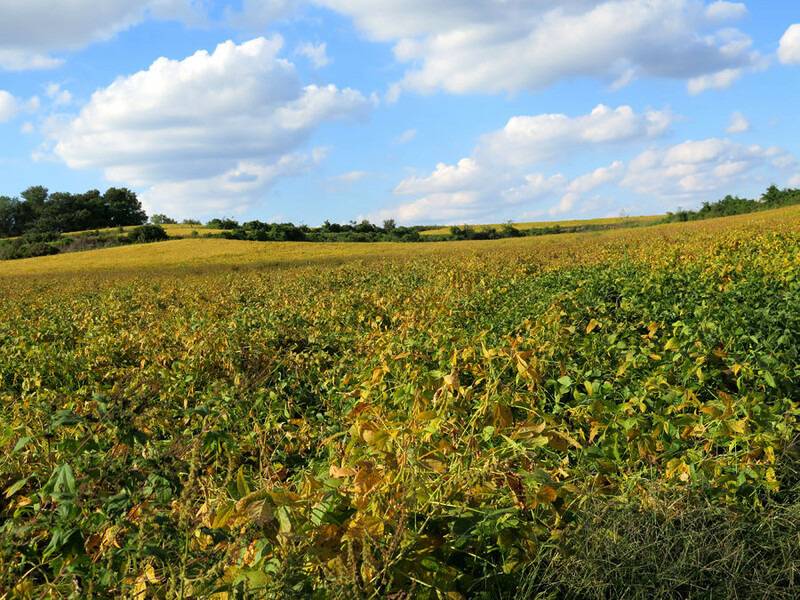 It’s a timeless scene. 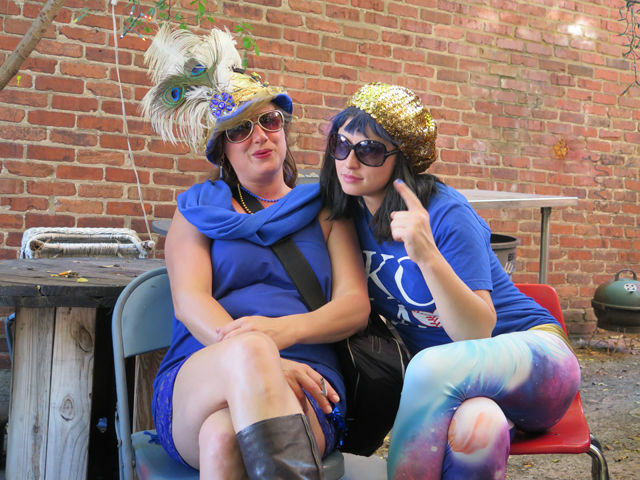 Eventually, the conversation dries up and the glasses empty and it is time to go. Parting ways is not a goodbye. Rather, the parting is a lull between occasions for gathering once again, to share, to drink, to live fully with each brief moment. 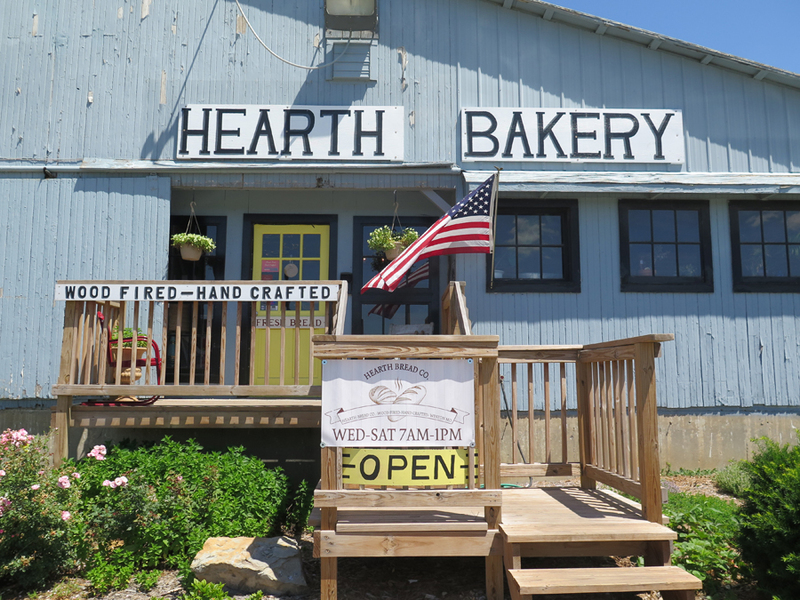 Over the weekend I discovered Hearth Bread Company, owned and operated by pastry chef and baker Dylan Low in Weston, Missouri. 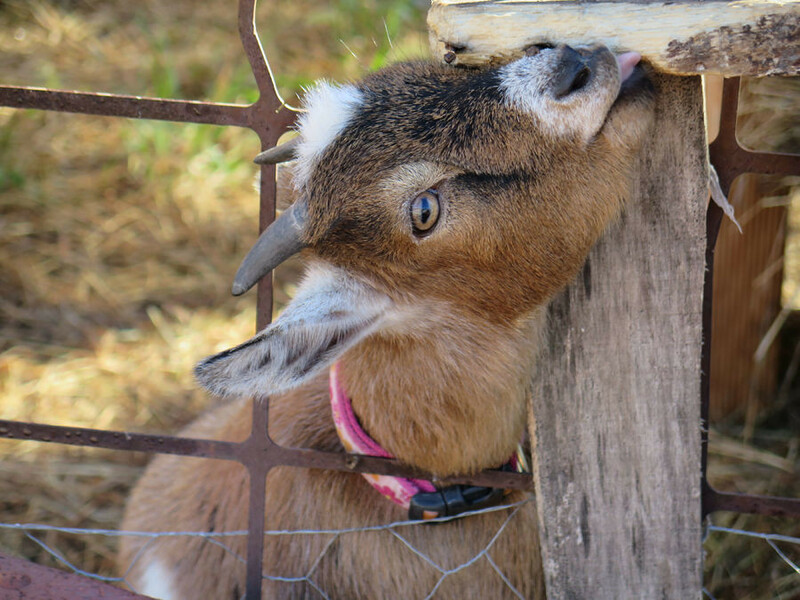 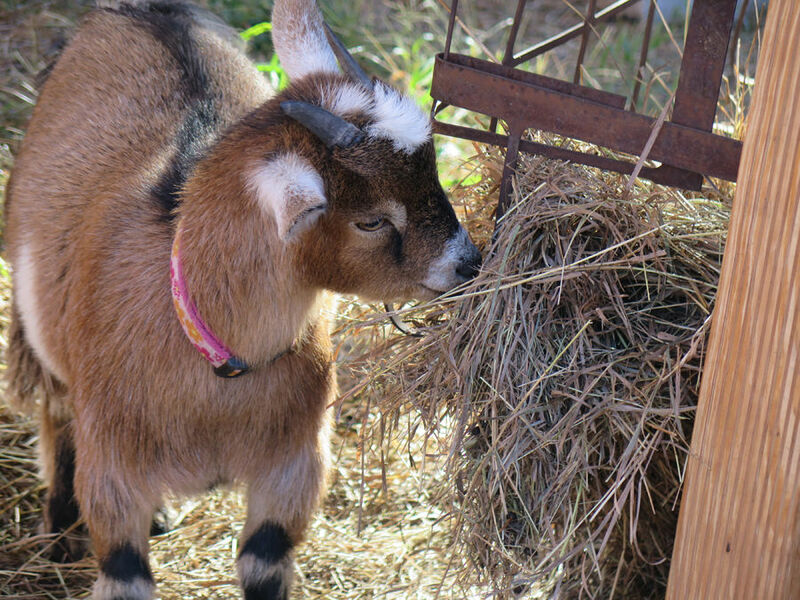 I was in Weston to research Green Dirt Farm’s new Creamery for a story in Northland Lifestyle’s July issue. 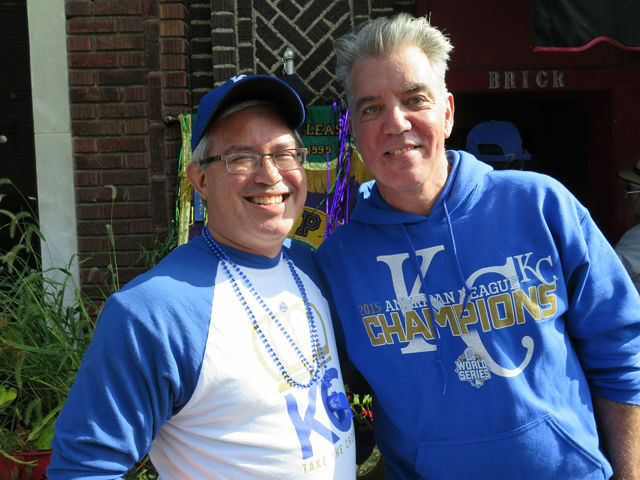 The bakery (17985 N. Missouri 45, Weston, Missouri, 816.805.4206) opened in 2015 and is located just around the corner from the Creamery. 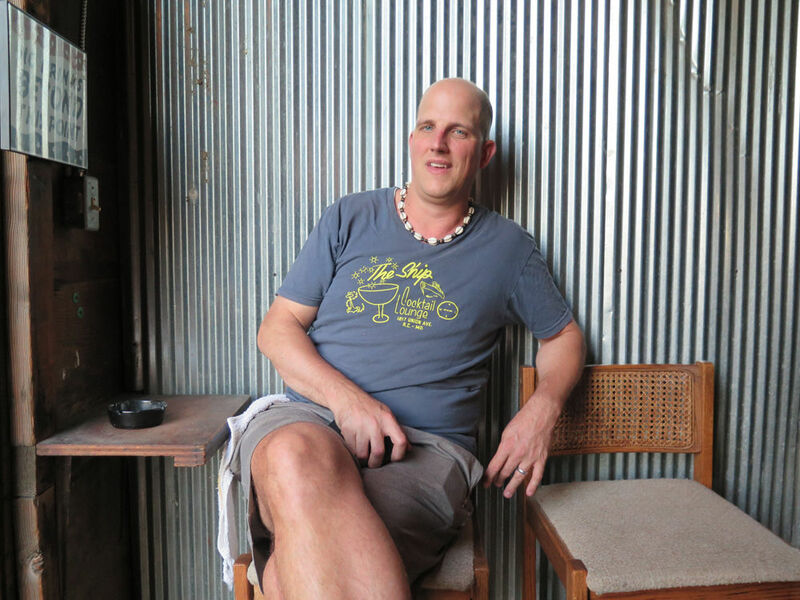 I didn’t spend much time in the bakery. 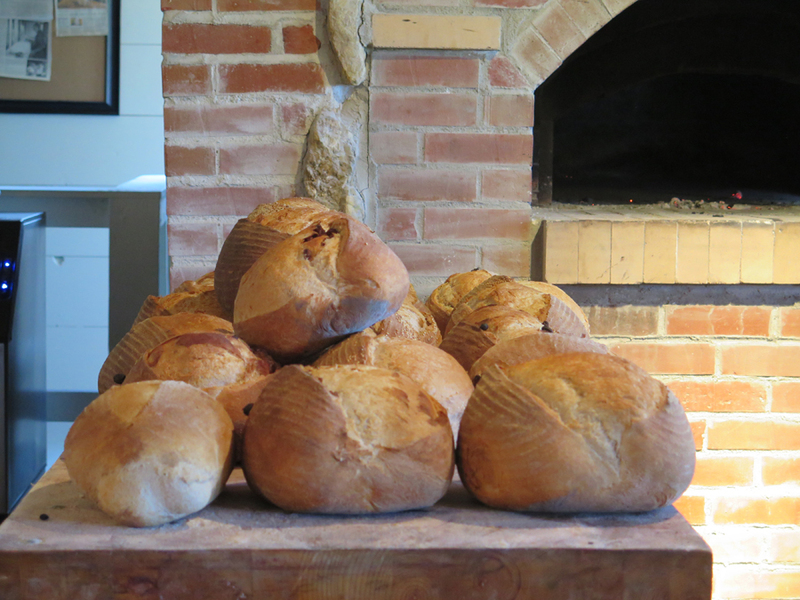 The golden loaves of German sourdough rye that Low pulled out of the oven looked hearty and smelled like an invitation to stay at the bakery forever. 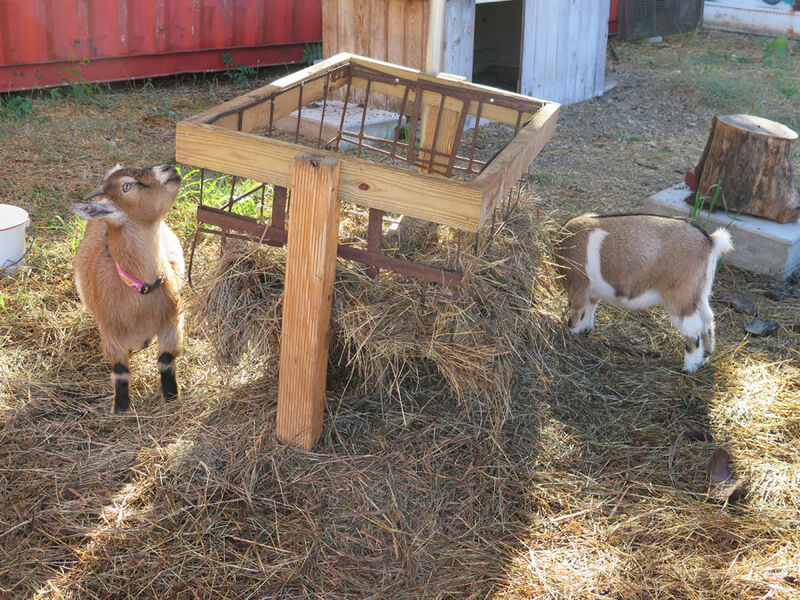 They were destined for sale at the Creamery. 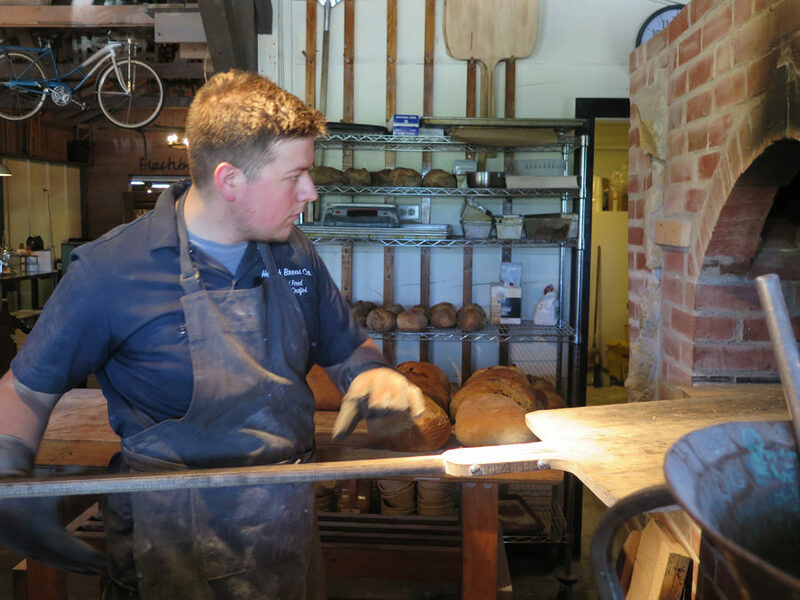 By late afternoon, Low was sold out of his daily allotment of loaves at his shop except for two multigrain loaves that were purchased by others soon after I arrived. 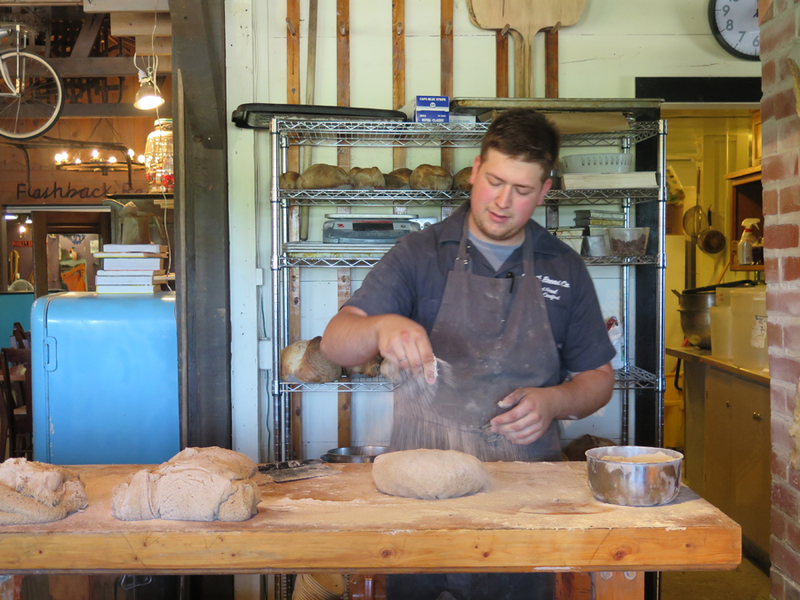 The best time to buy Low’s rustic sourdough, golden raisin and cinnamon, and other breads is early in the morning. 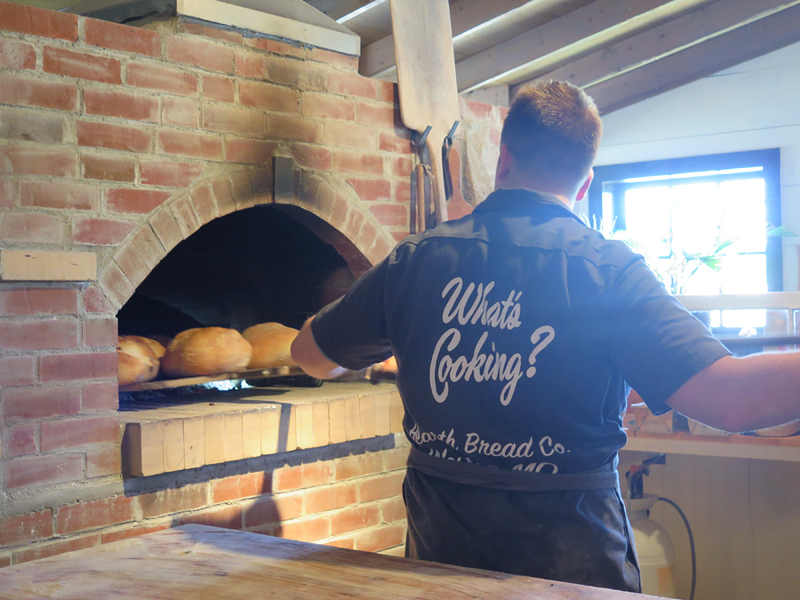 Be prepared to vie for a spot in line behind the locals in Weston that gather to buy fresh-baked bread. 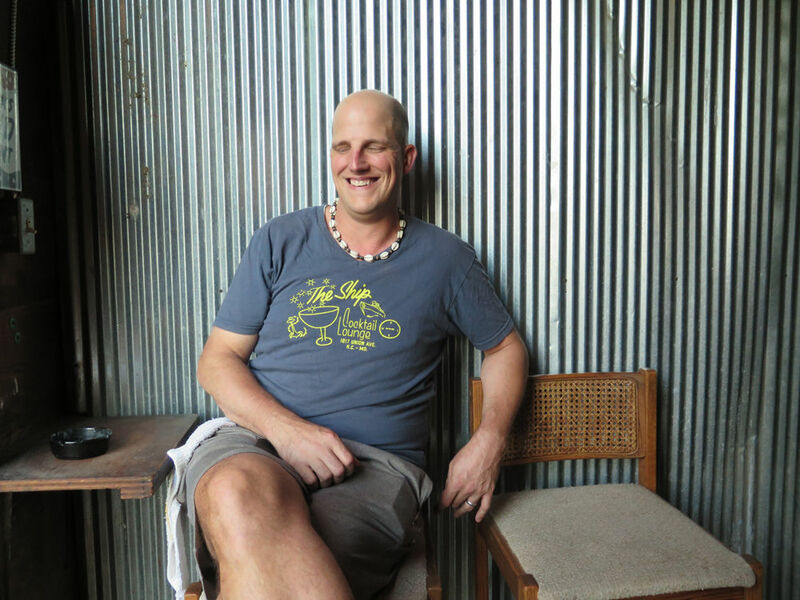 I look forward to a return trip when I can learn more about Low, who trained at the Culinary Institute of America in Napa before returning to his hometown to start Hearth. 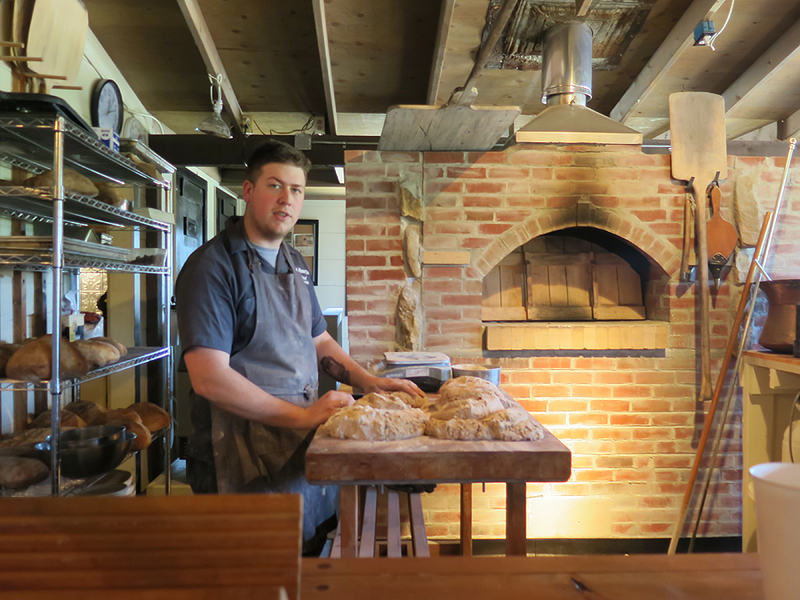 He mills much of his own organic flour. 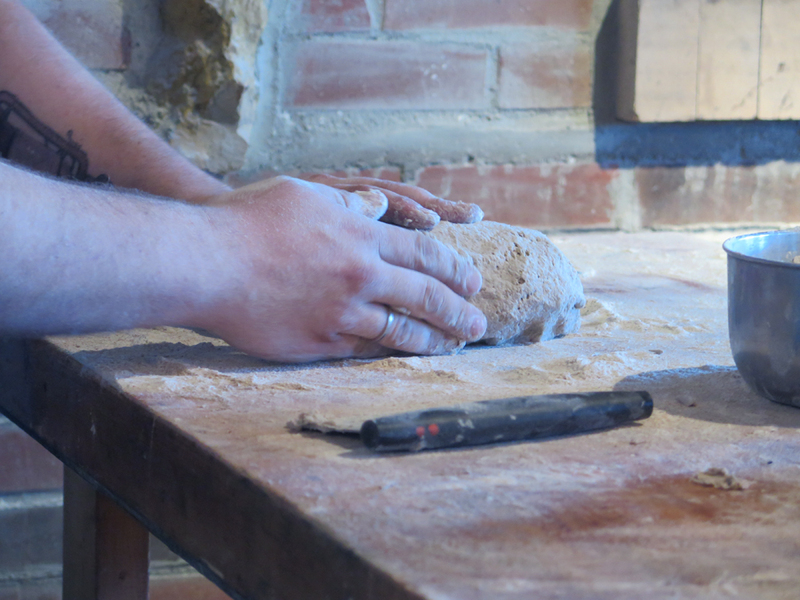 While in his early twenties, Low’s approach to the fundamentals of baking’s tried-and-true methods seemed timeless. 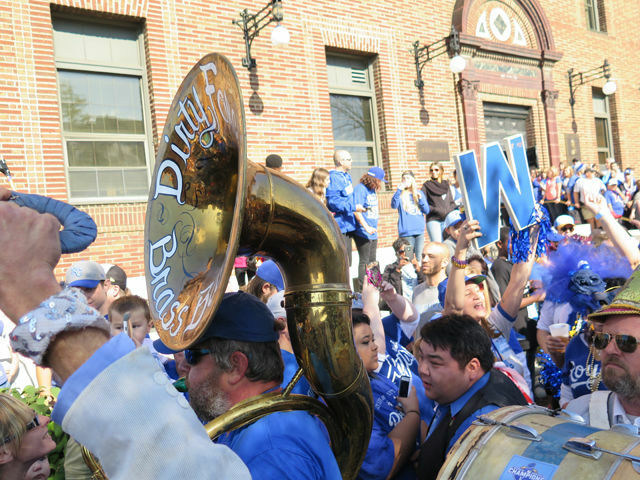 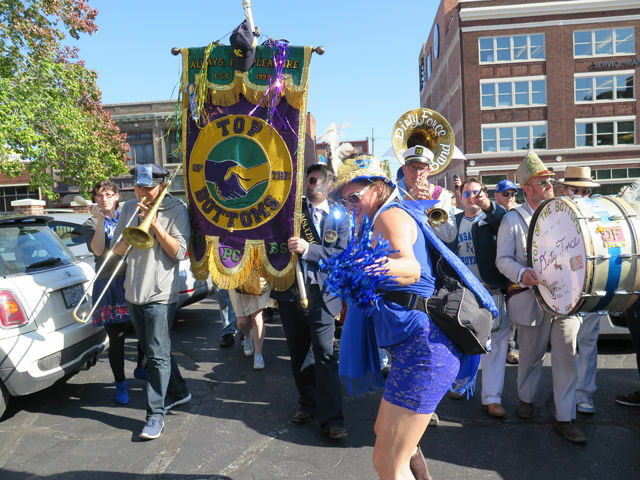 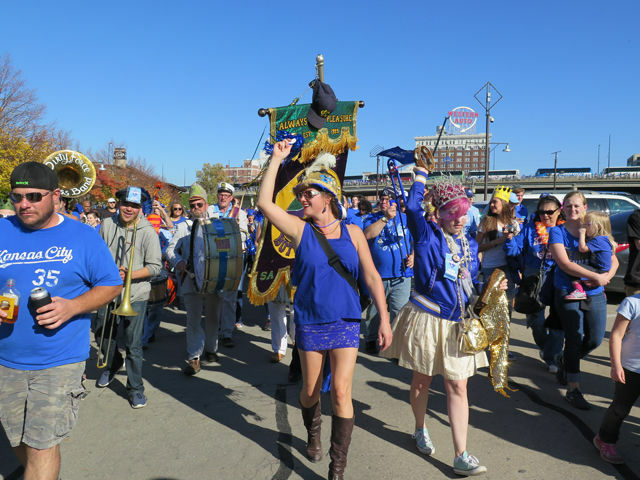 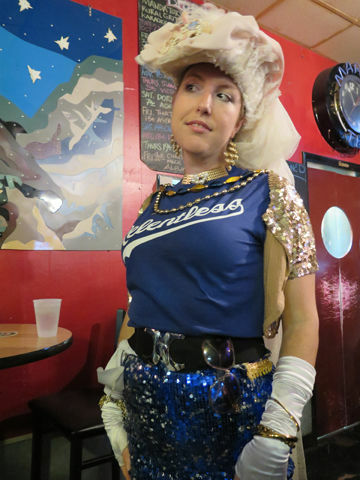 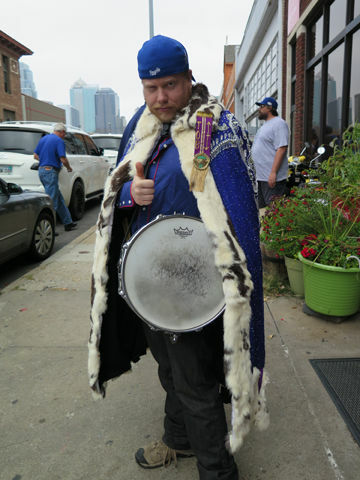 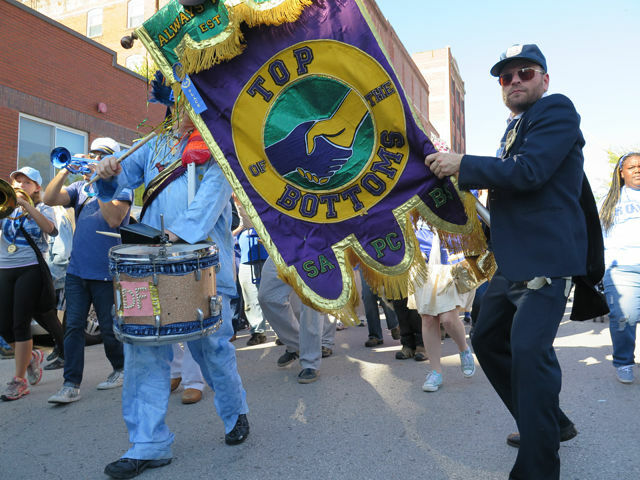 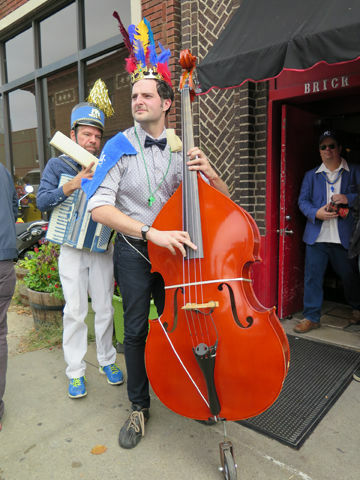 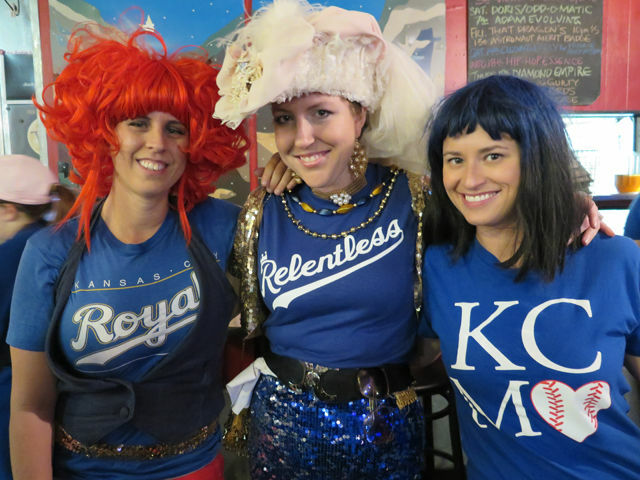 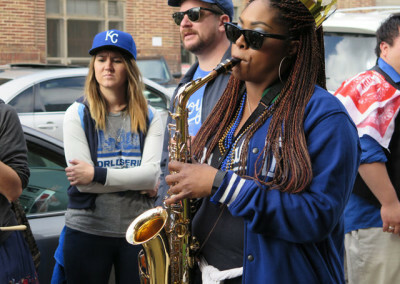 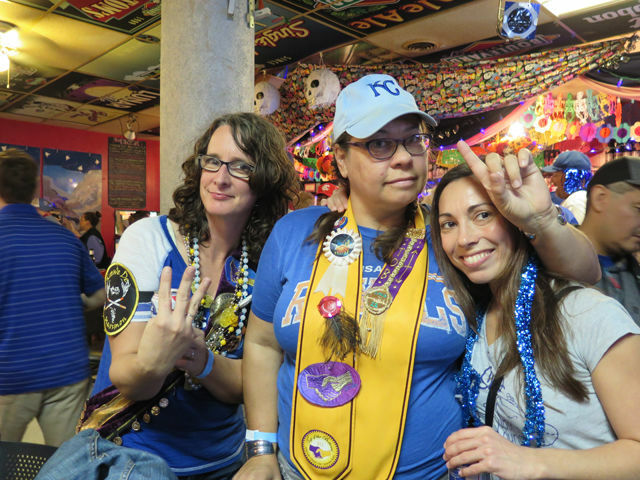 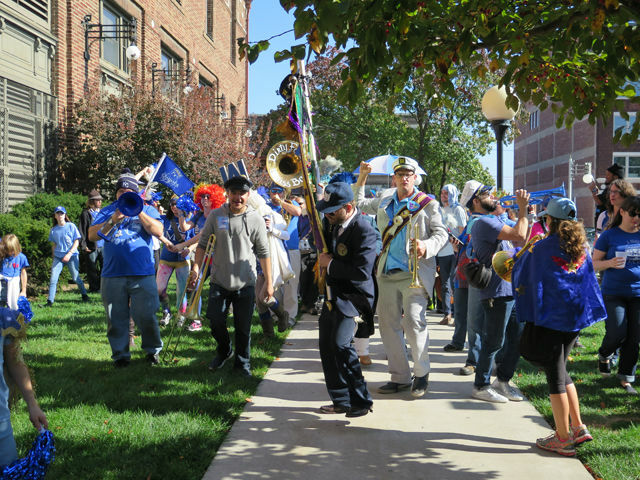 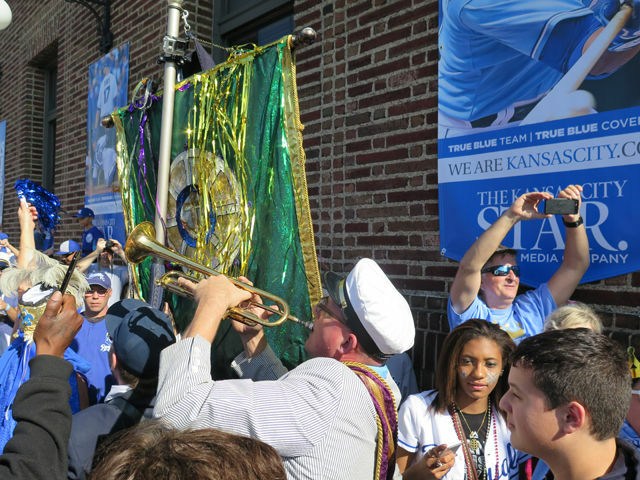 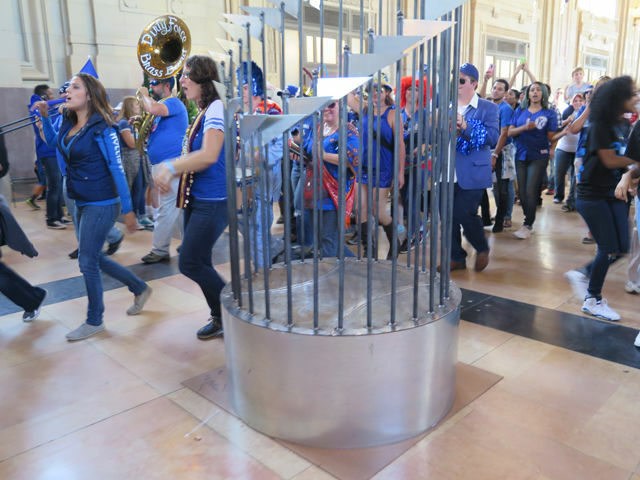 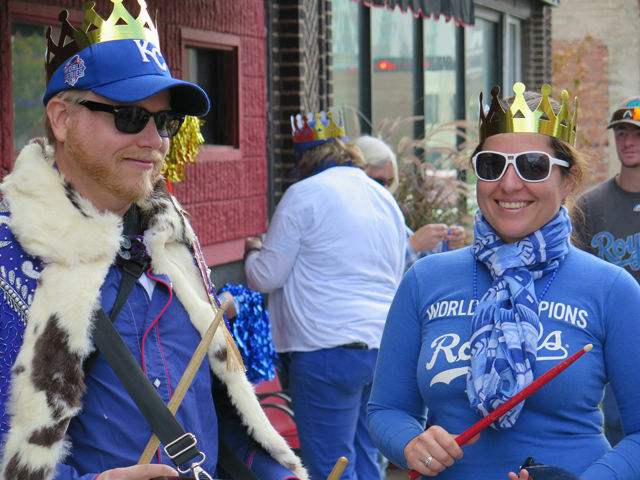 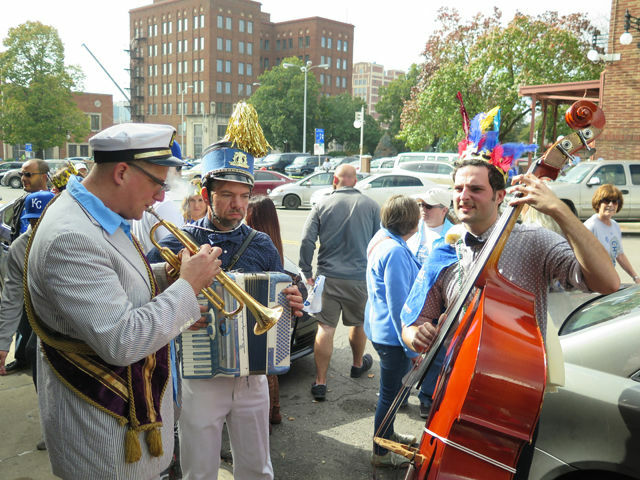 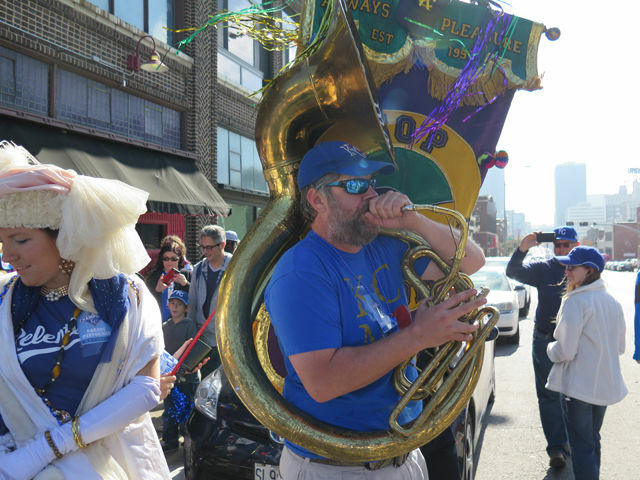 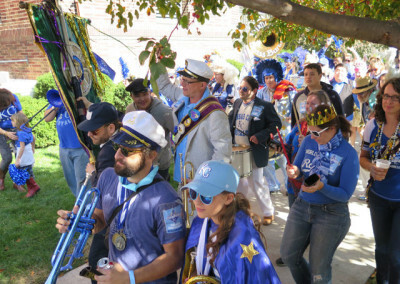 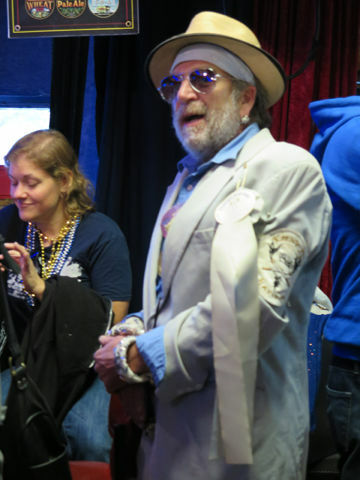 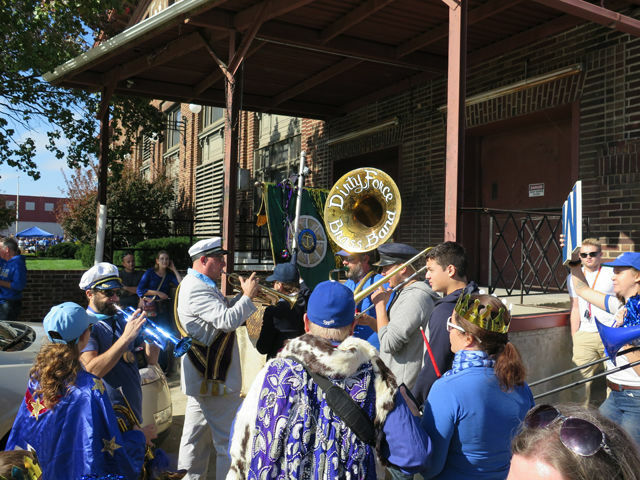 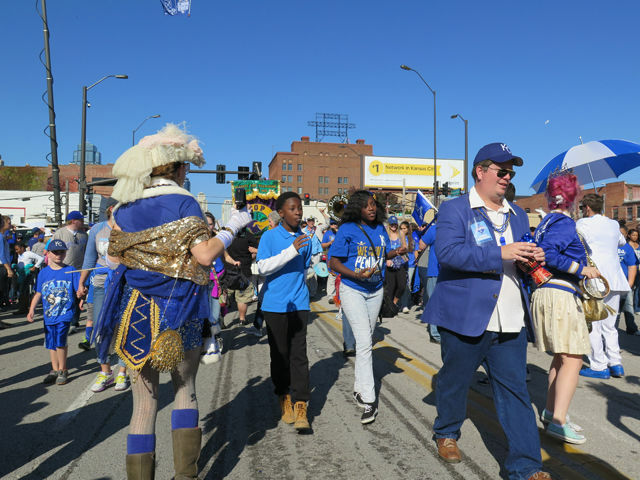 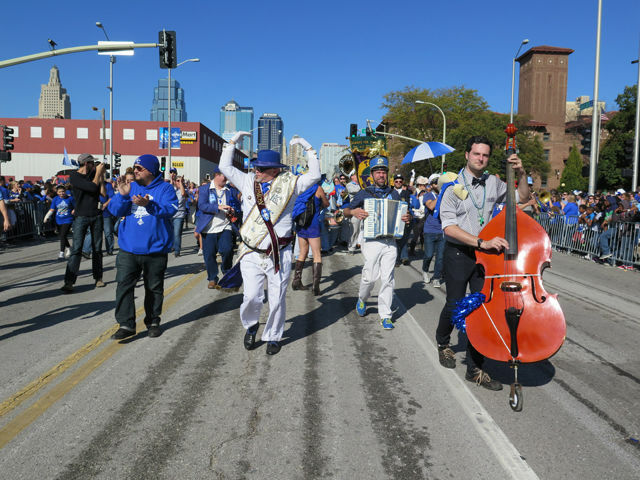 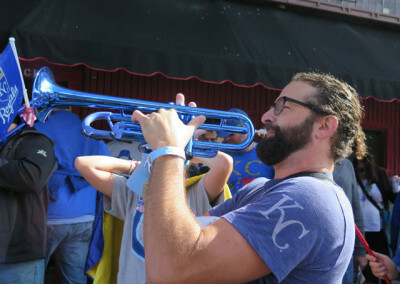 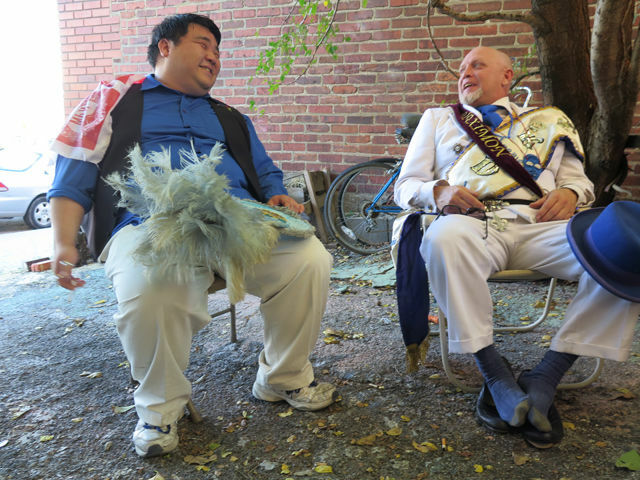 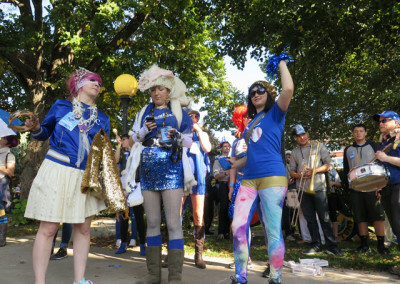 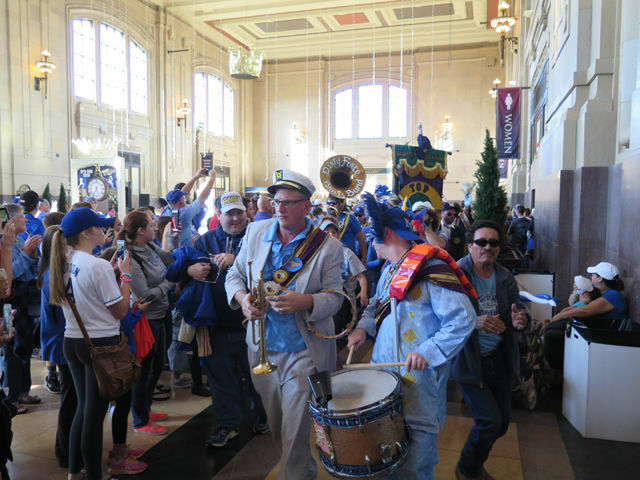 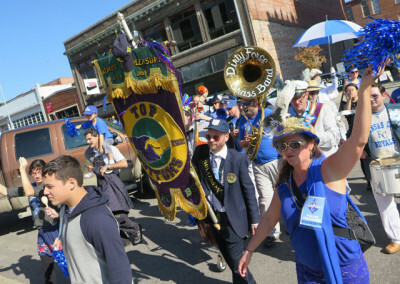 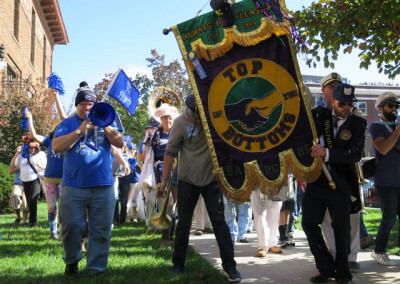 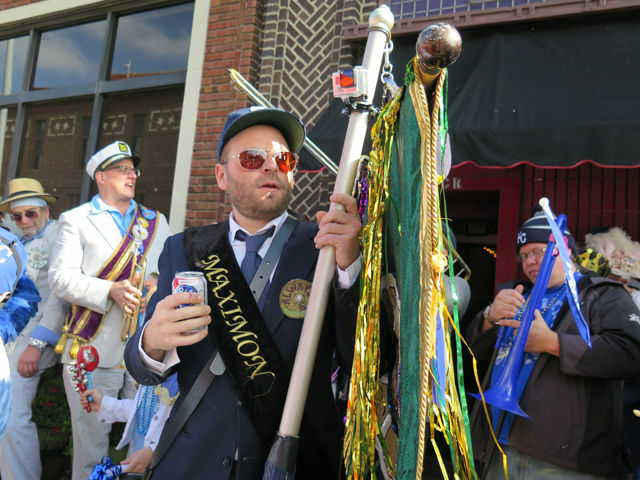 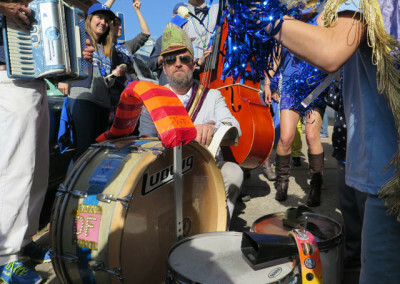 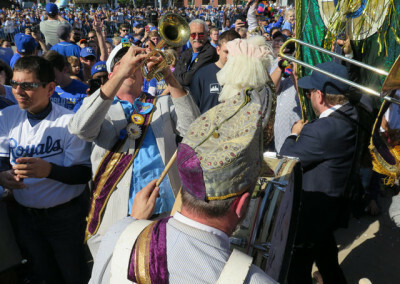 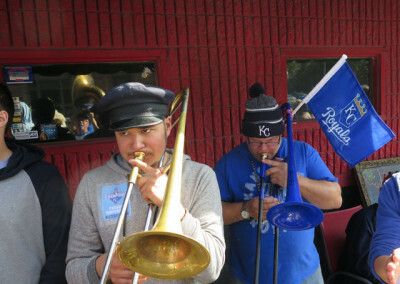 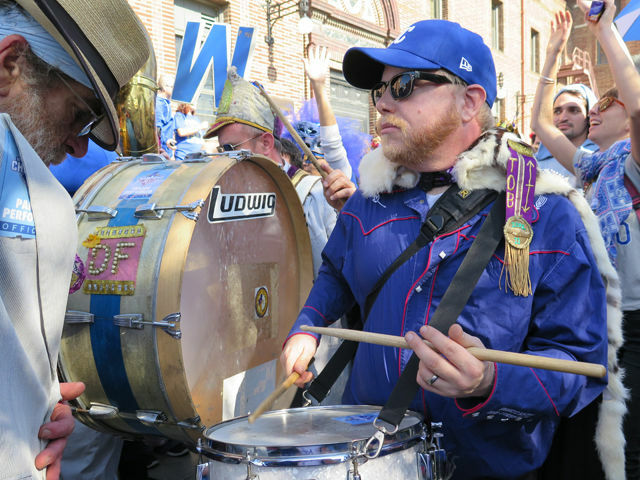 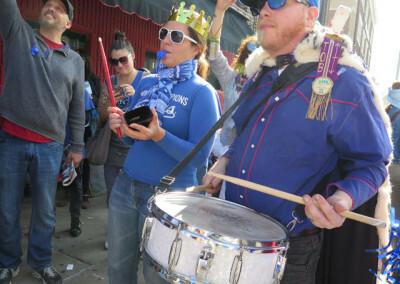 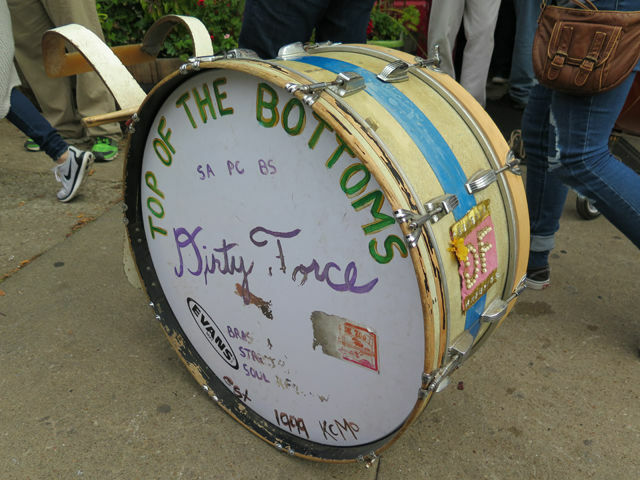 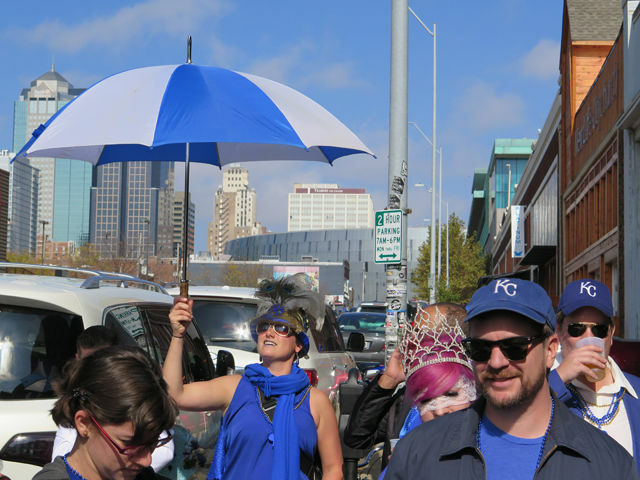 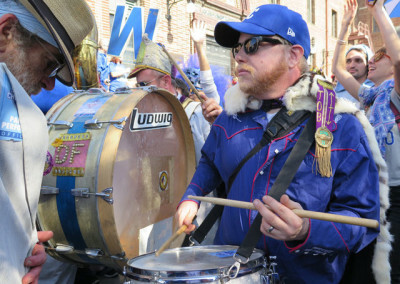 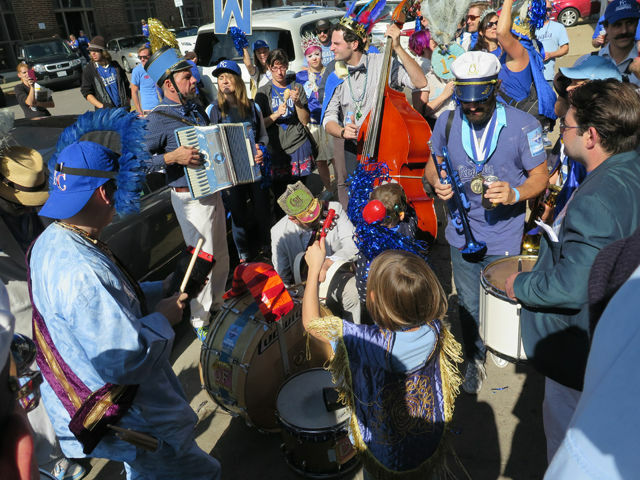 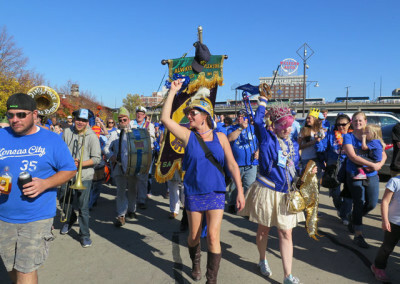 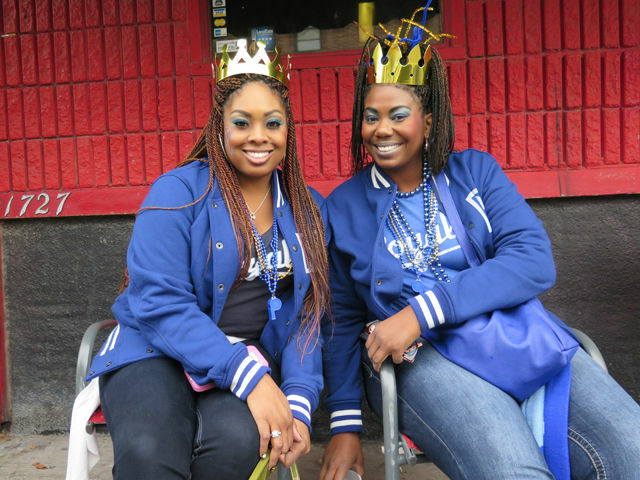 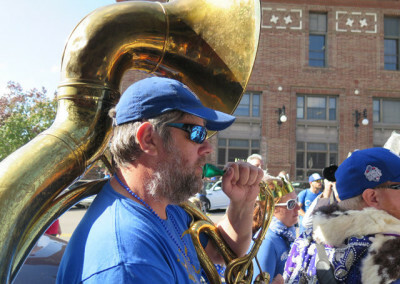 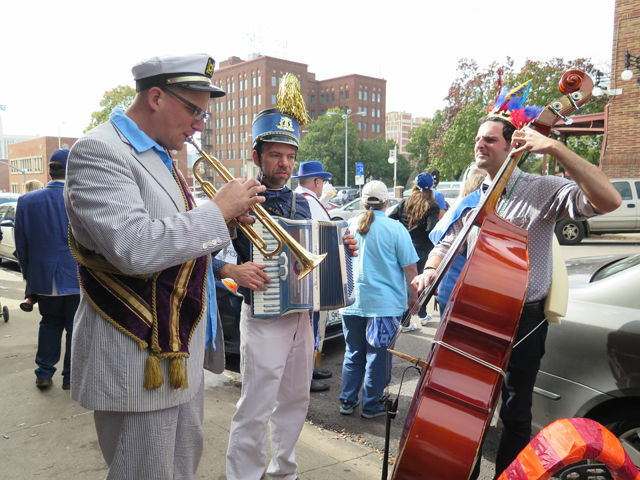 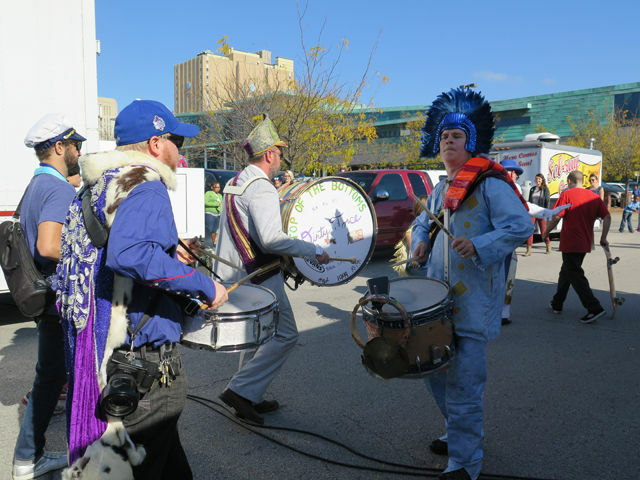 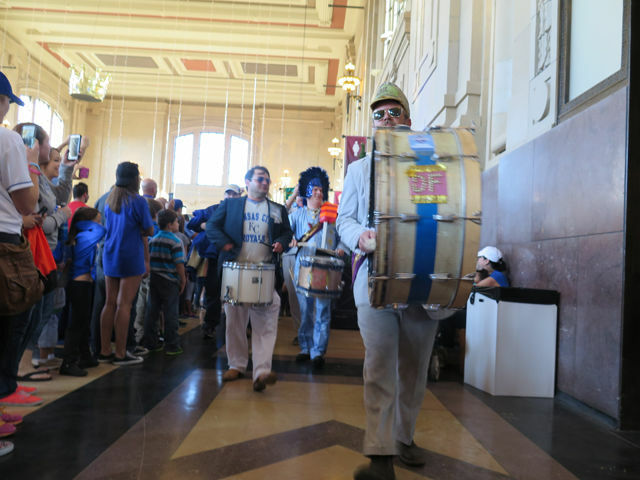 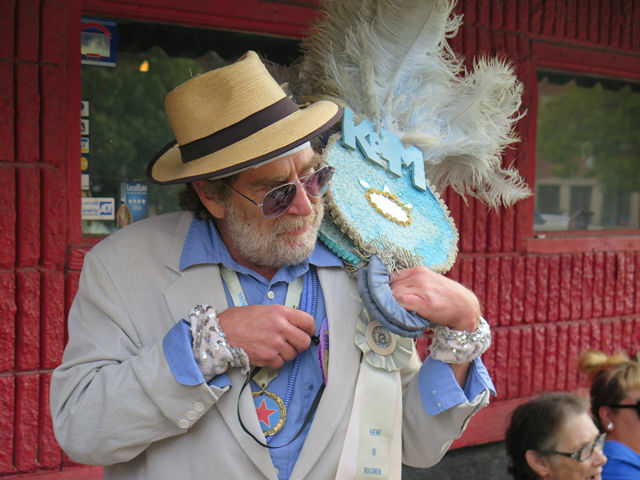 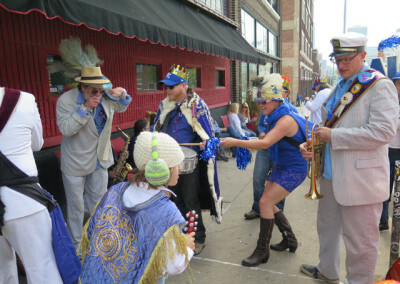 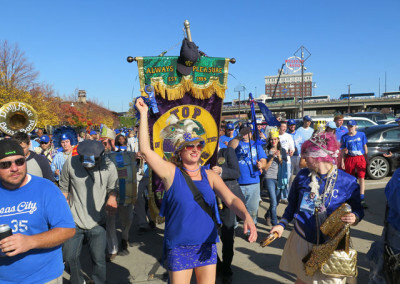 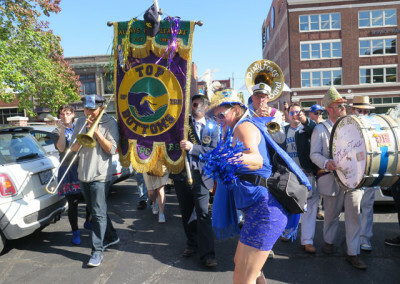 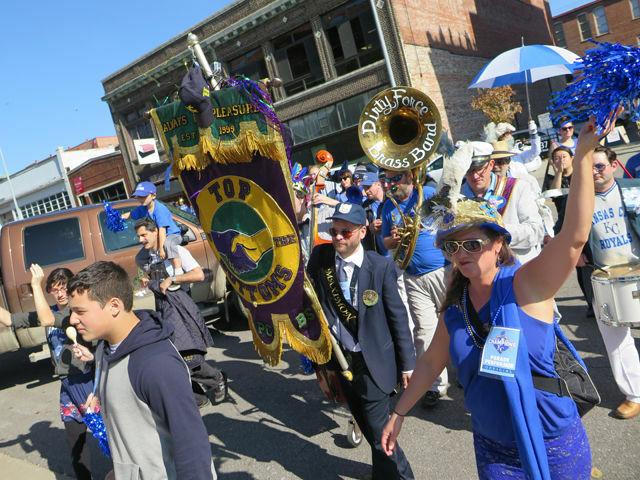 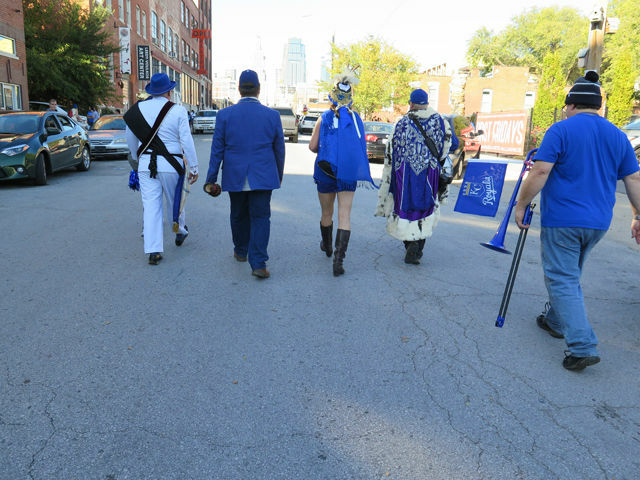 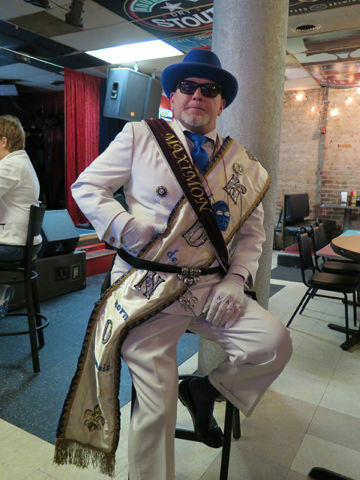 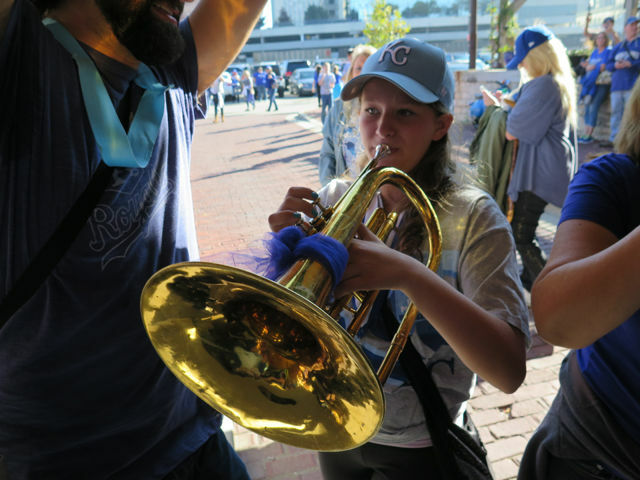 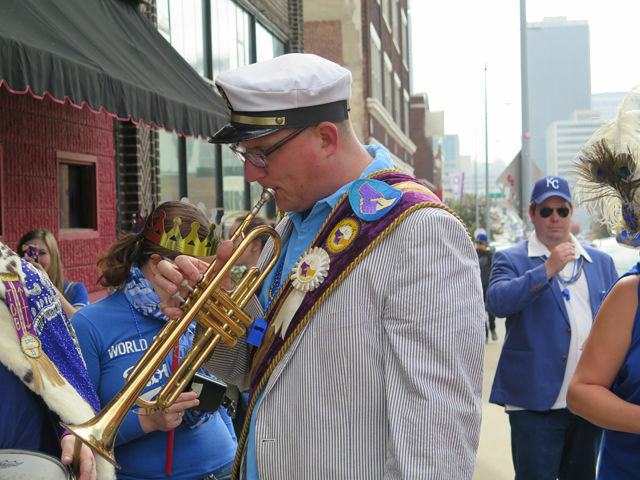 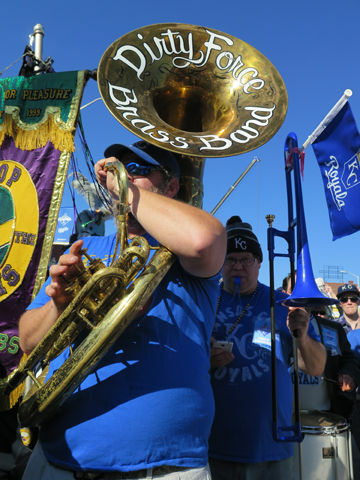 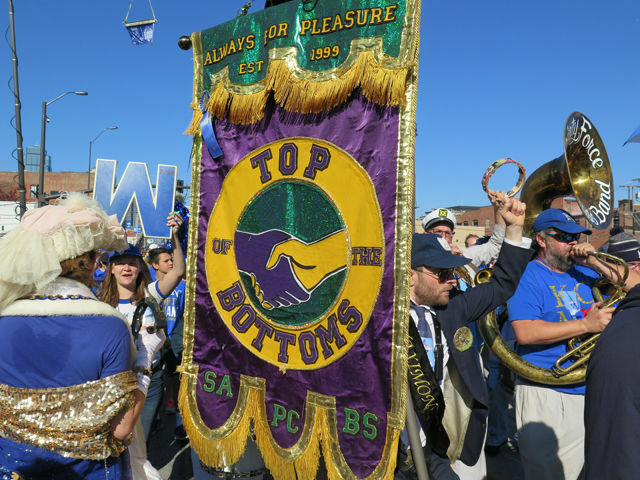 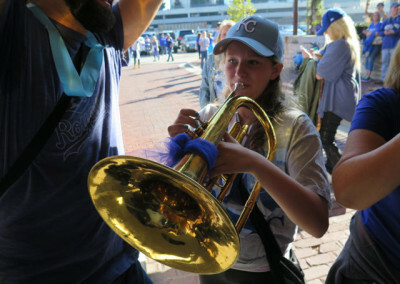 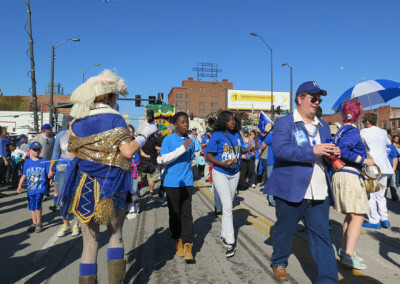 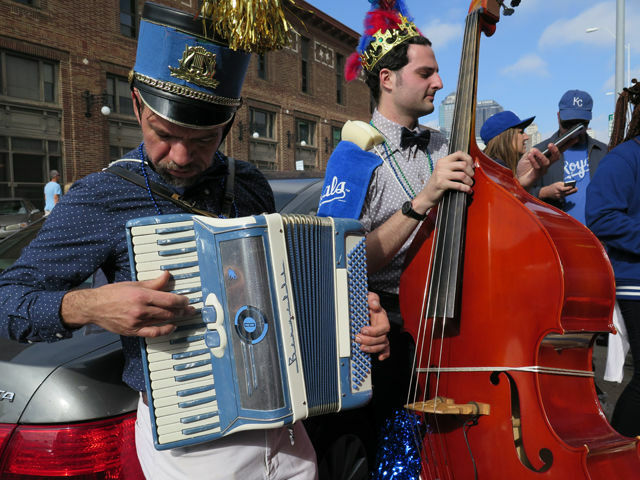 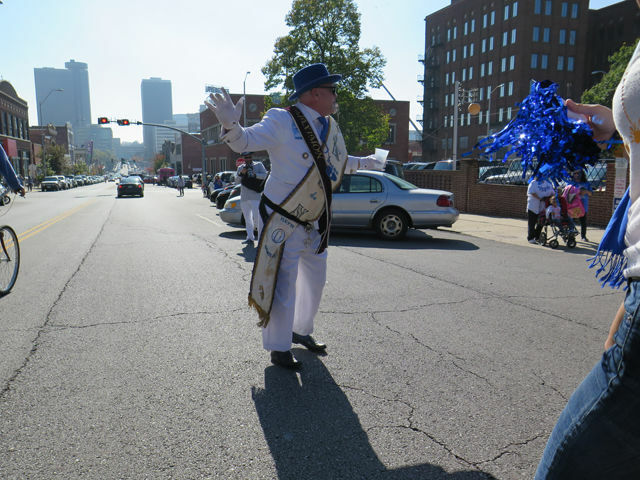 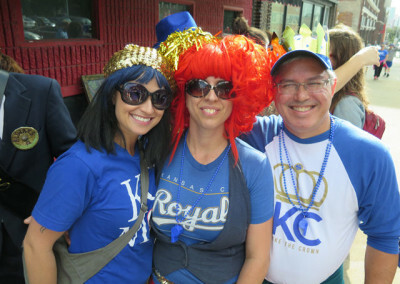 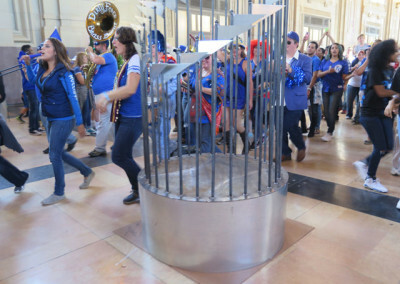 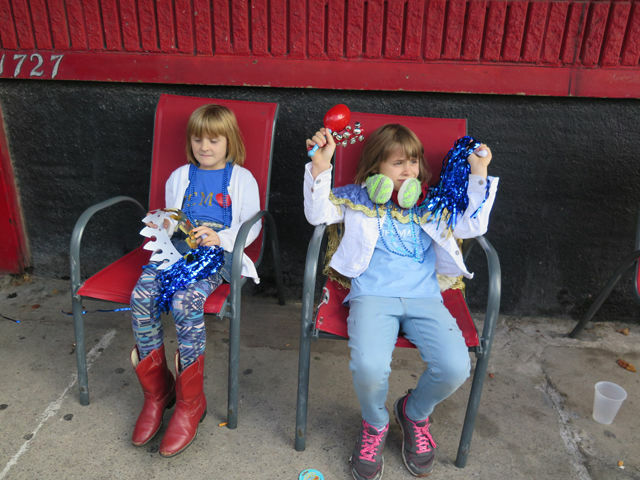 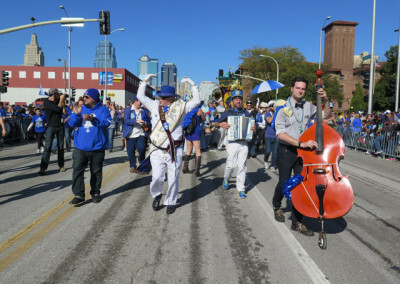 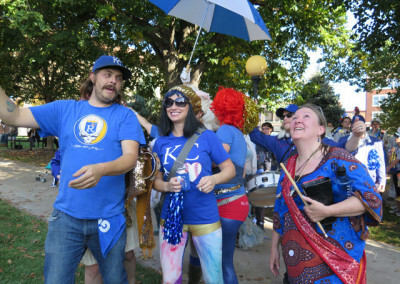 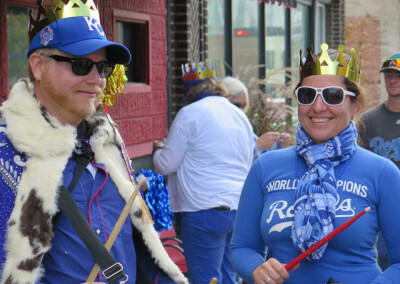 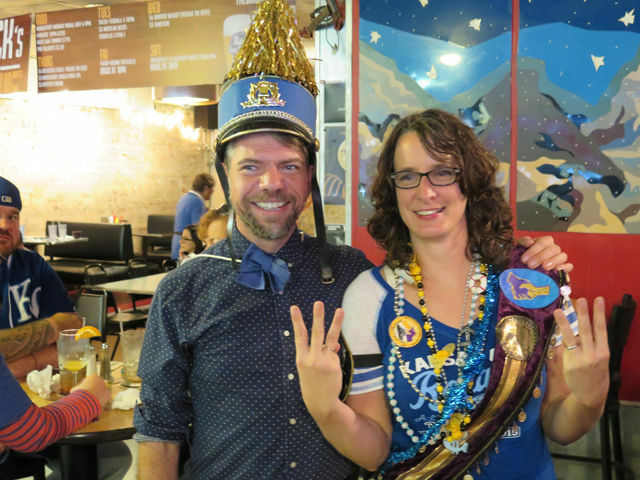 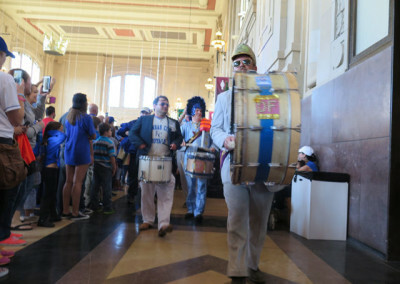 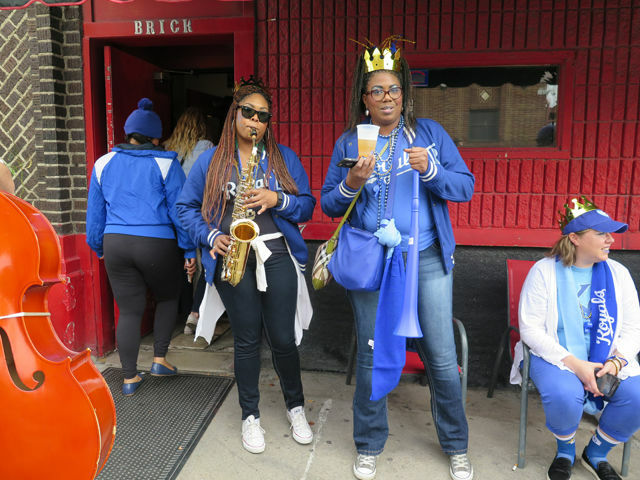 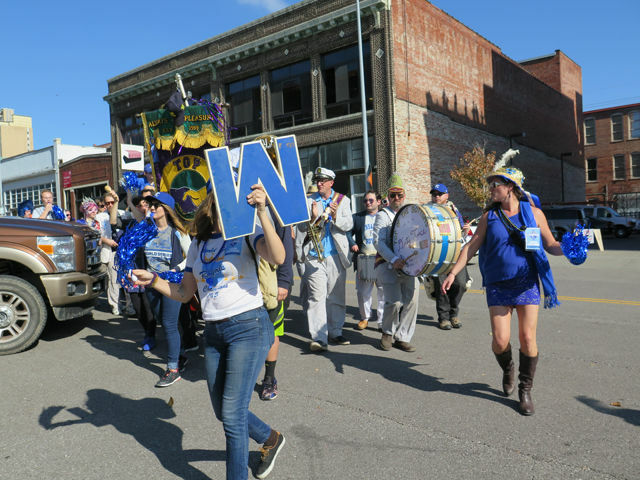 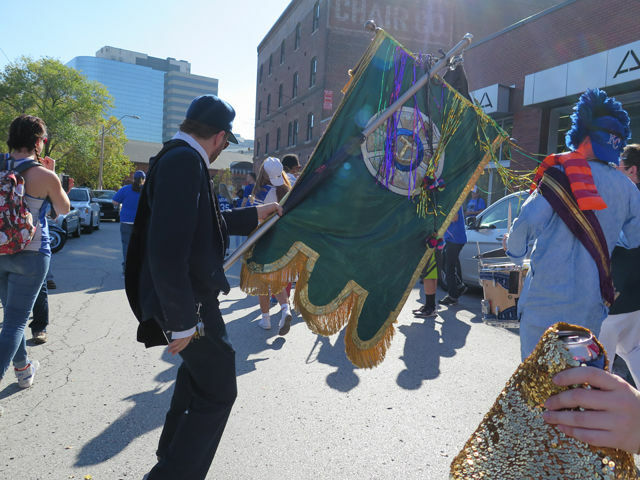 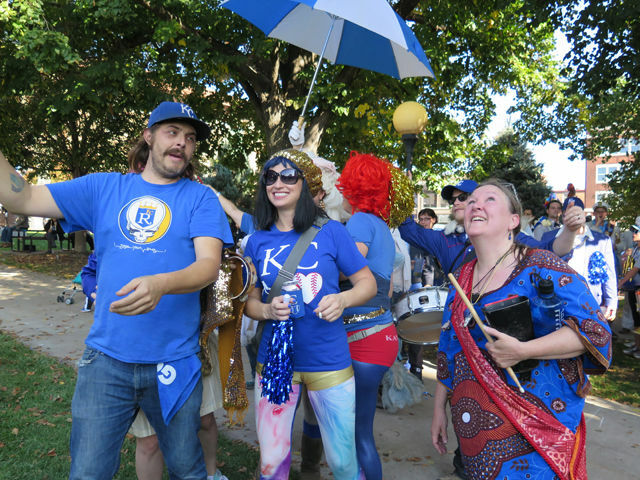 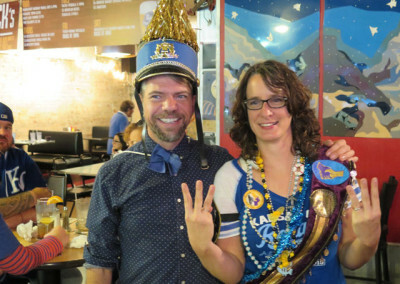 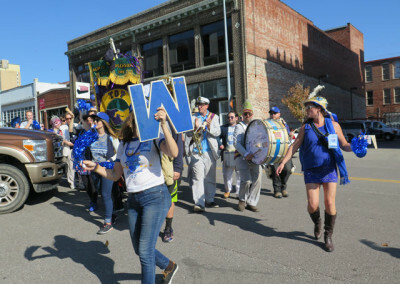 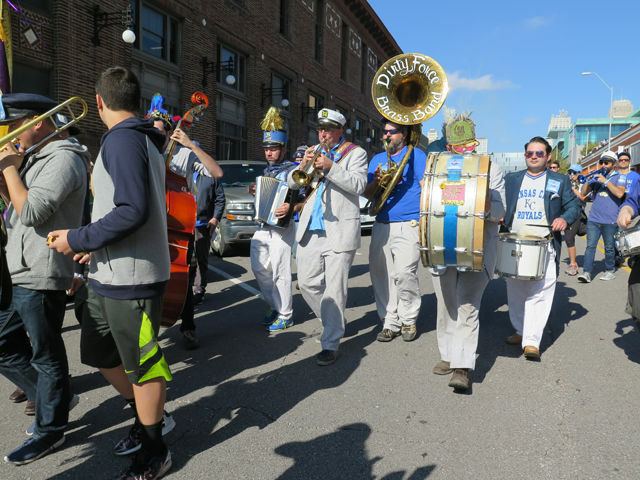 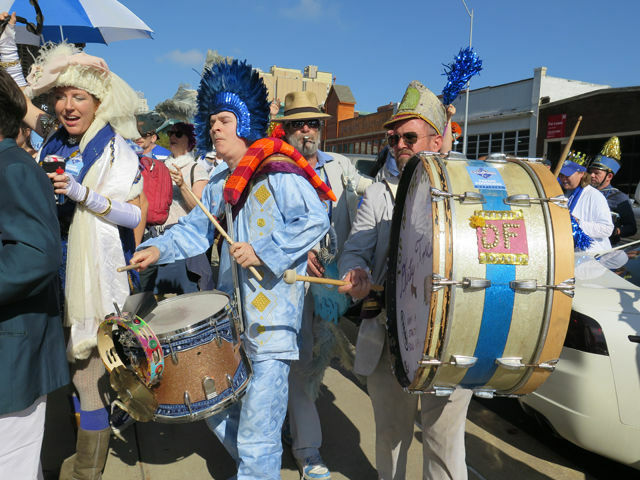 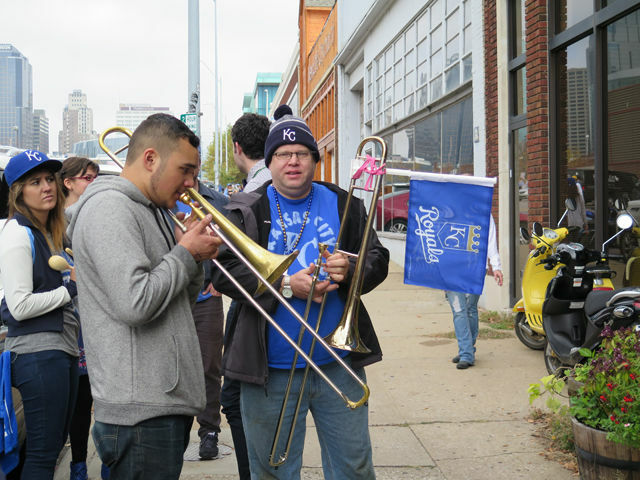 Dirty Force Brass Knuckle Street Band and Soul Revue and its second line of dancers, revelers, shouters, merrymakers and KC Royals fans, including yours truly, joined in the KC Royals World Series Championship Parade festivities on Tuesday, November, 3rd, 2015. The band and entourage met at The Brick located a block away from the parade route. 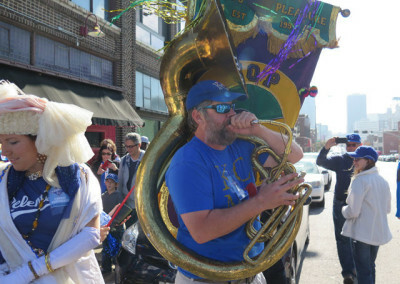 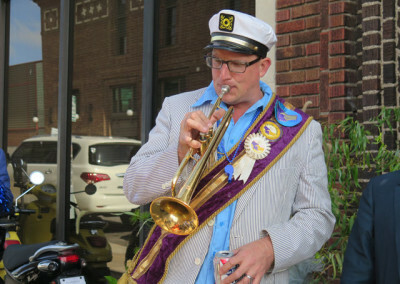 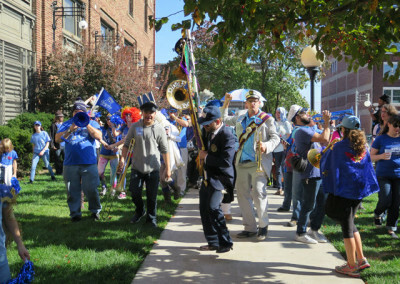 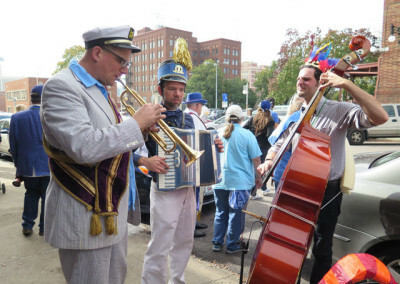 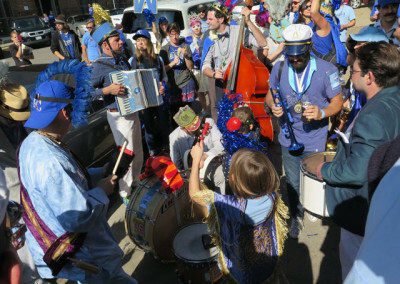 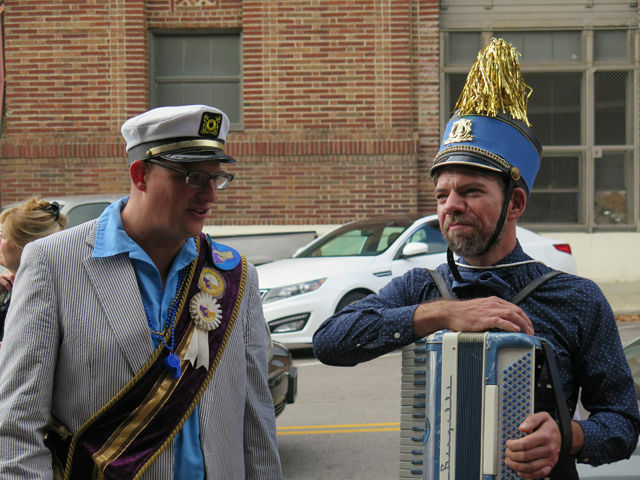 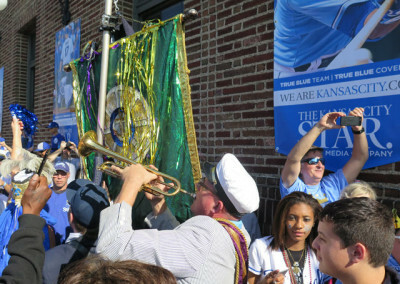 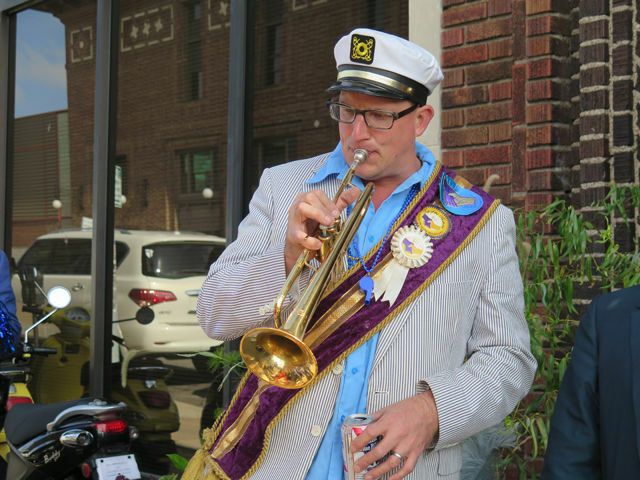 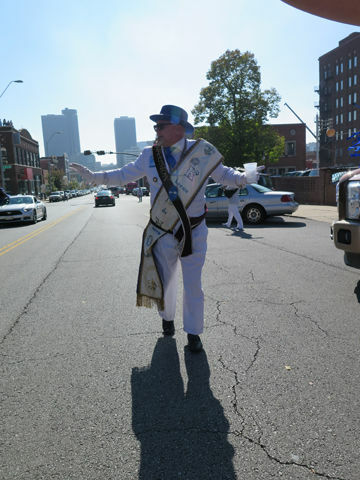 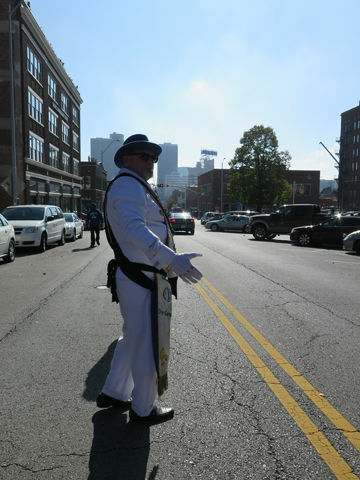 After a few warm-ups on the sidewalk, the band and second line took to the streets around the KC Star building. 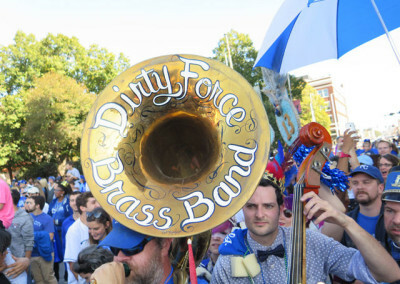 The group danced, cheered and sang to the driving, adrenaline rush of Dirty Force as we threaded through the crowd on a trial run. 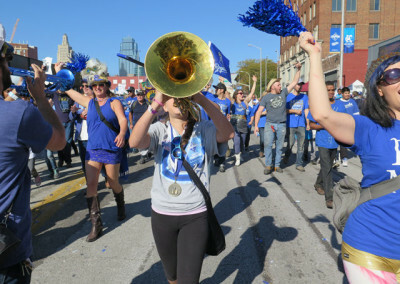 It was amazing to march along, give high fives to observers and be part of a citywide celebration. 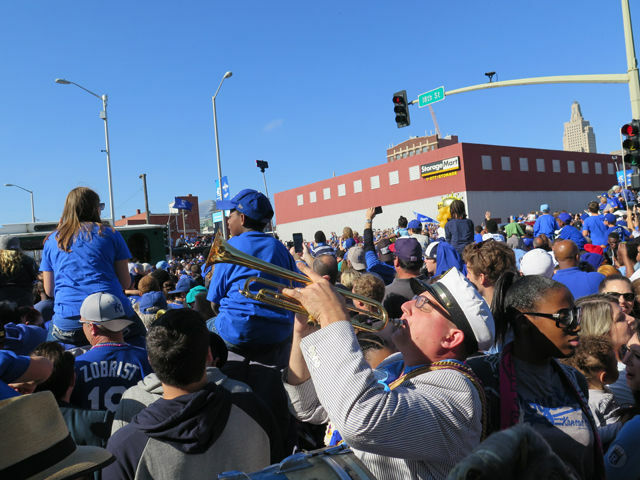 During a second run, we navigated through packed crowds of thousands to Grand Avenue. 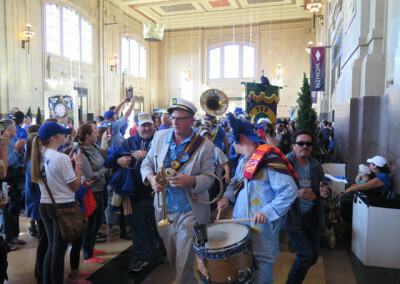 Once the main parade had passed en route to Union Station for the rally, the band and party stormed the gates and led the crowd down Grand, over to Main and on to the Freighthouse District. 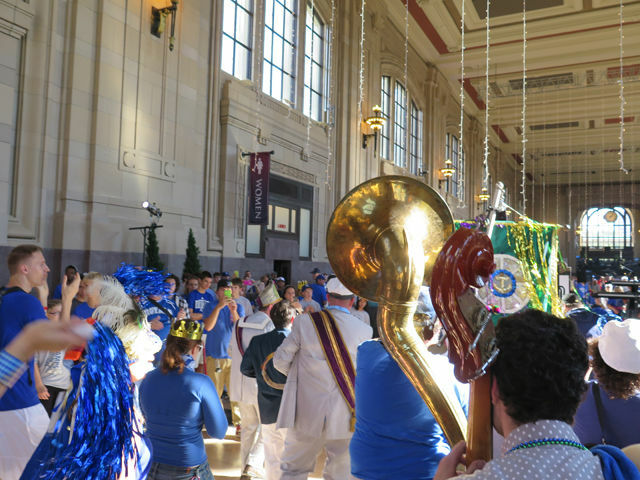 We took to the stairs and walkway until we entered the main hall of Union Station to the delight of even more people. 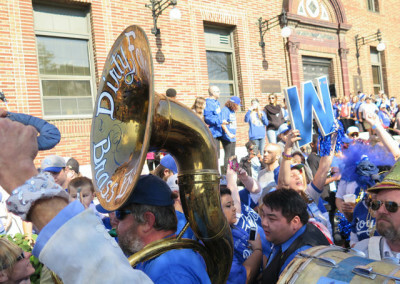 Because of the densely packed front of Union Station’s parking lot near where the rally stage was located, we couldn’t press on through the throng of blue-wearing, cheering fans. 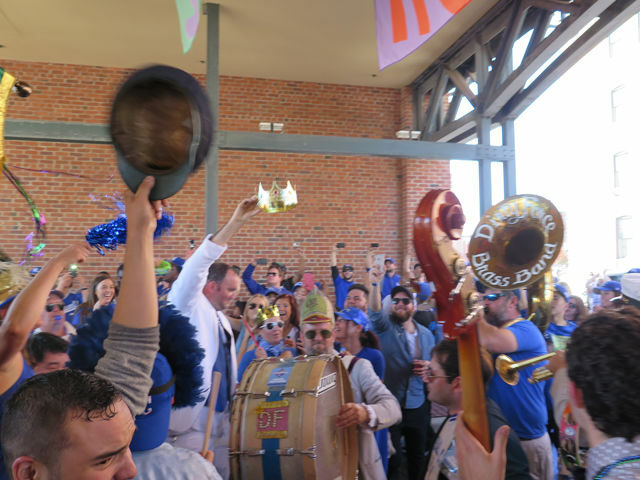 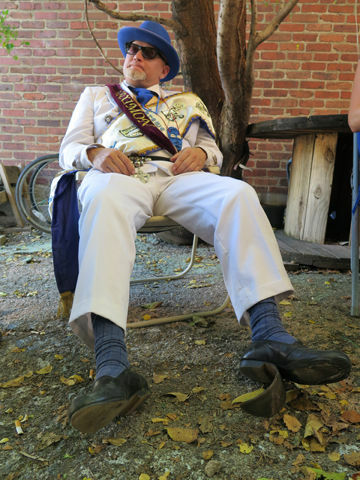 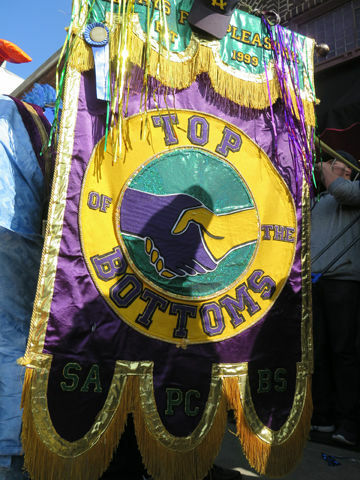 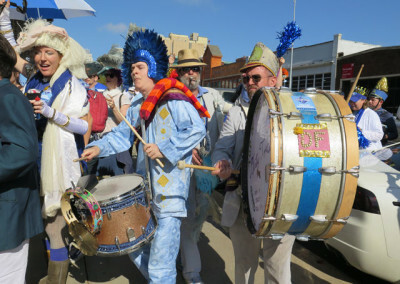 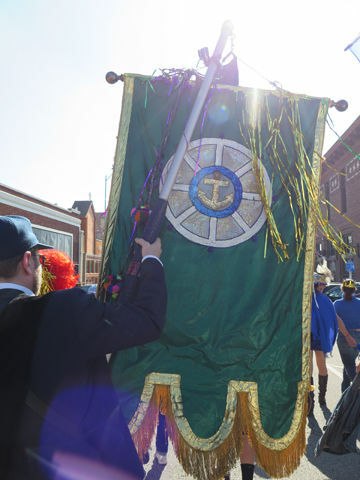 By then, the band and second line had done its job to add to the joy, celebration and merriment of a day none of us will ever forget. 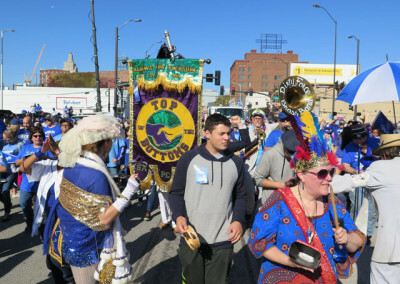 The Ship is one of several magical places in Kansas City. 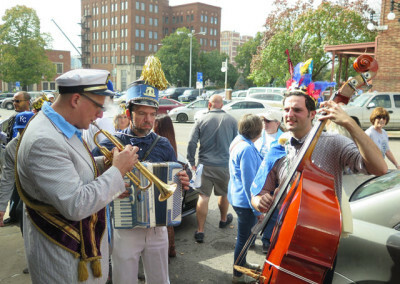 This West Bottoms cocktail lounge has a storied history that dates back to 1935, when it was located at 411 East 10th Street. 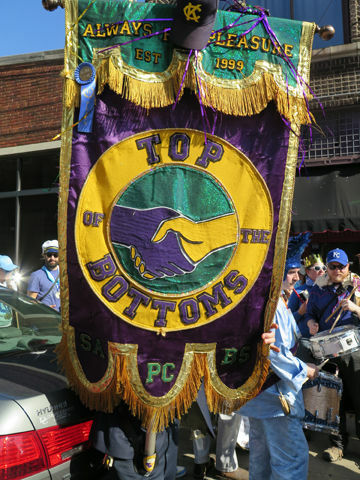 I remember going to the original Ship in the early Nineties shortly before it was decommissioned. 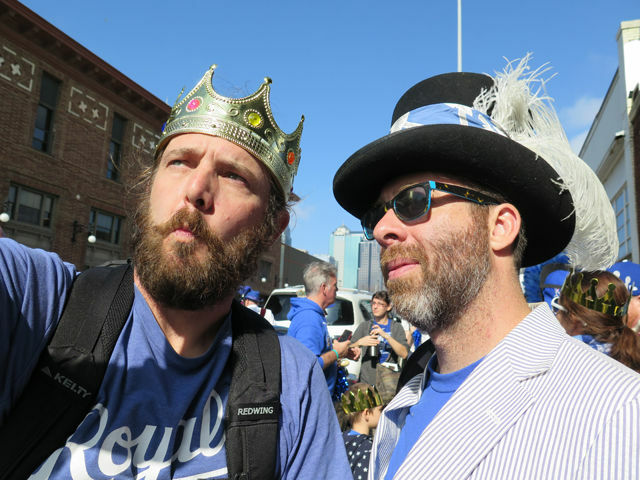 The full story of its past and present is one worth reading. I won’t recount it here except to acknowledge the roles of Adam Jones, Bob Asher (pictured below) and Josh Mobley in preserving and resurrecting many of the original fixtures to ultimately reconstruct this timeless lounge. 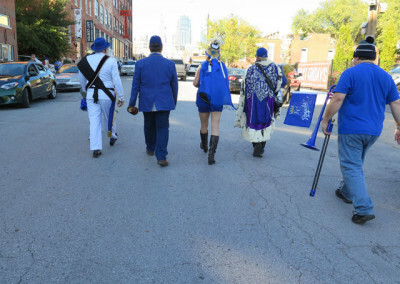 In its early years since 2004, the modern Ship was a secret destination for artists, musicians and West Bottoms dwellers just as much as the original space remains a legend for those that entered its nautical confines. 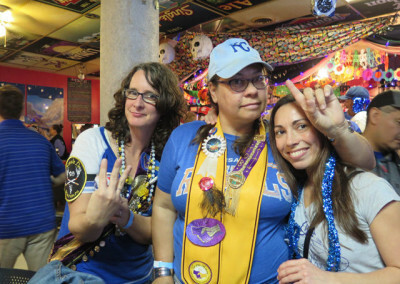 Nothing stays secret for long in the small town-big city of Kansas City. 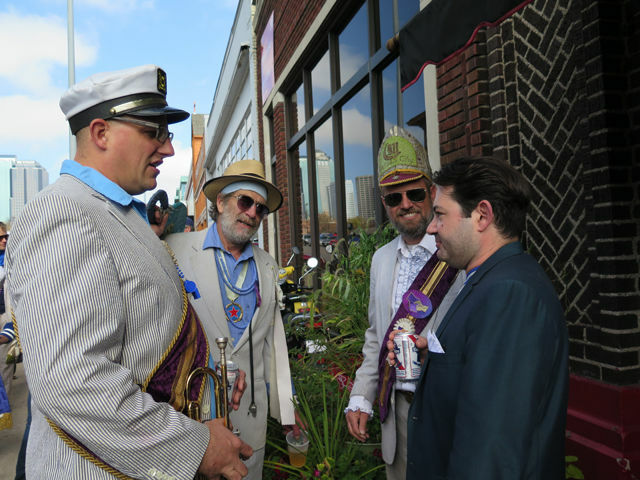 The Ship is alive and well as people from all walks of life hang out for drinks. 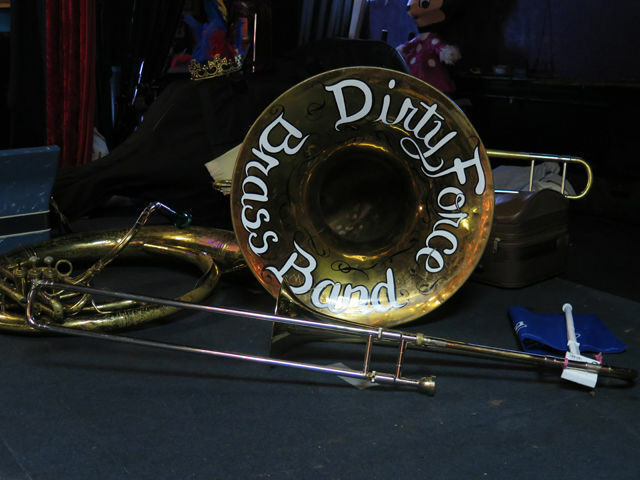 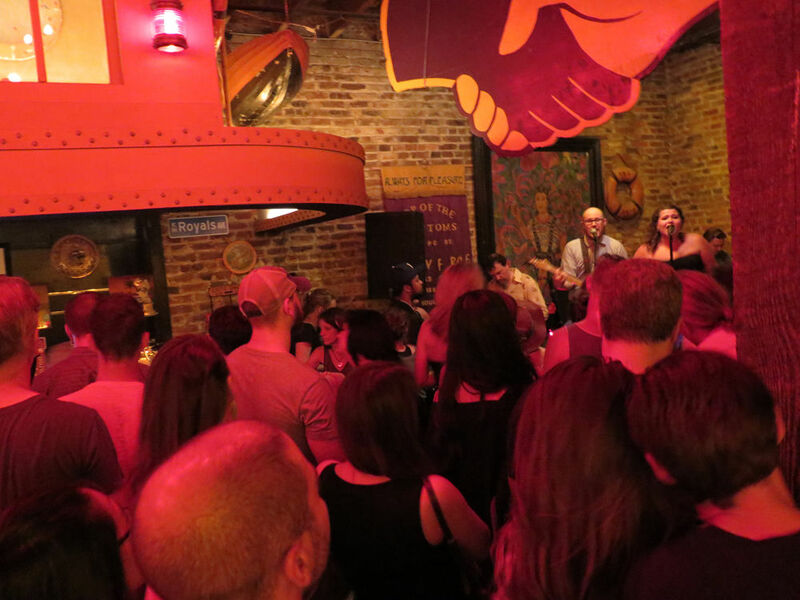 Depending on the night, a crowded house dances to the sounds of soul as Superwolf or Fat Sal spin records, or groove to bands like The Grisly Hand or the Dirty Force Brass Band, a legend in their own right. 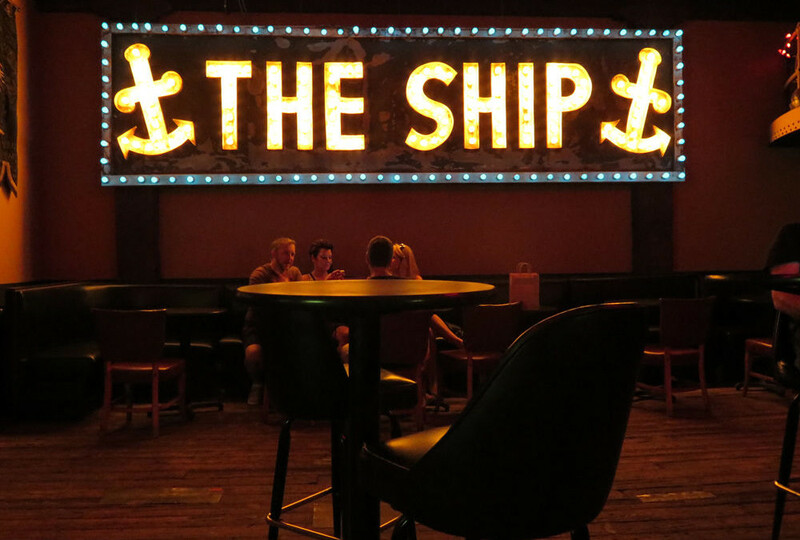 My favorite moments at The Ship, which are more rare than I care to admit, are when it isn’t packed. 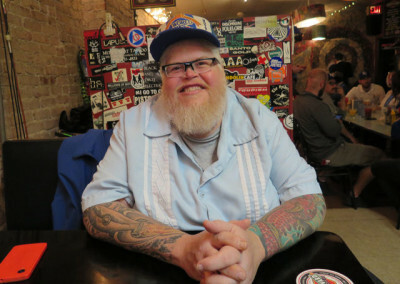 There’s time to watch the bartender banter with customers, settle into a spot at the bar without elbowing other patrons and simply take in the history and quiet grandeur of the space. 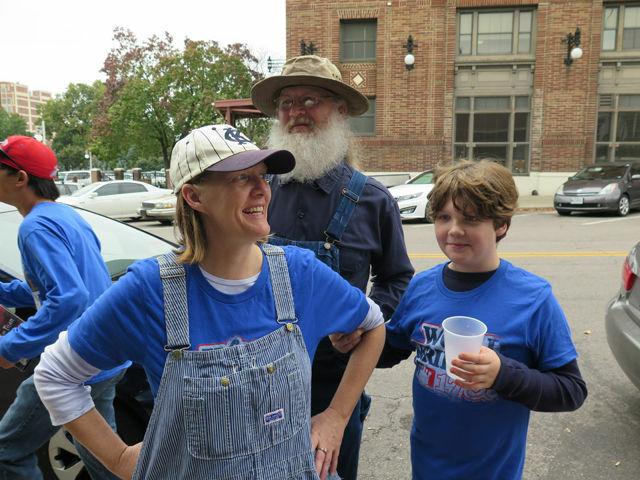 More often than not, I’ll run into an old friend or acquaintance. 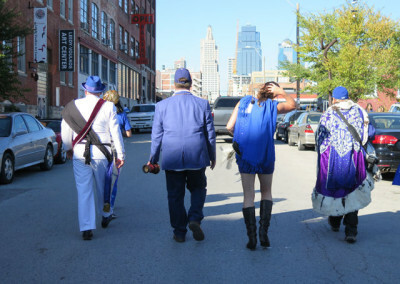 The low lights and nautical decor both transport me to a distant place and remind me that The Ship exists as part of Kansas City’s ongoing history.